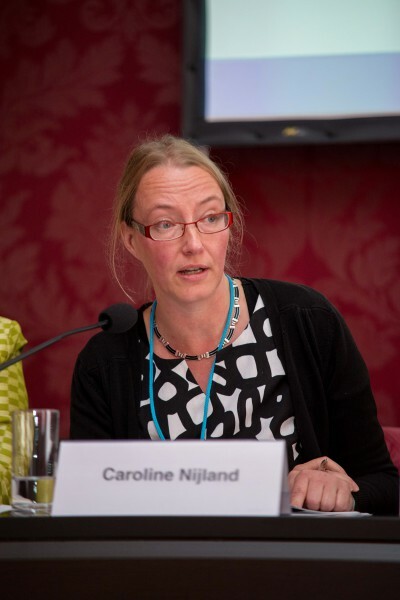 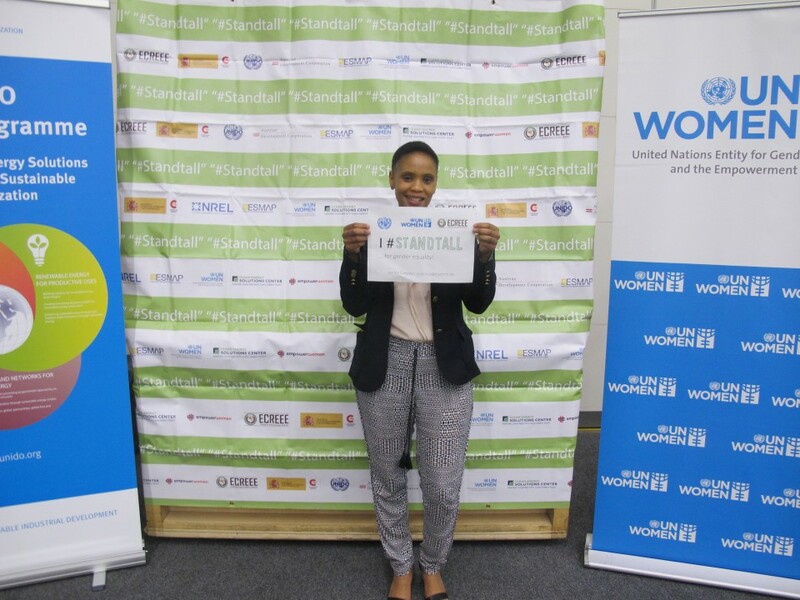 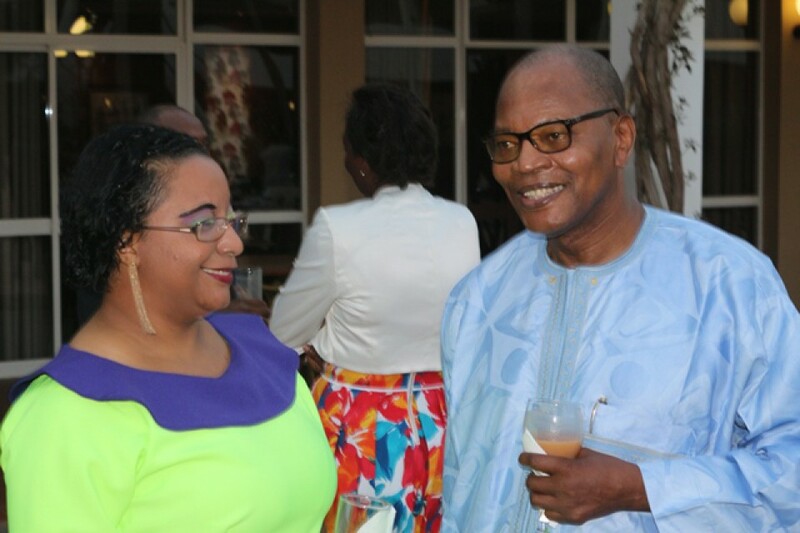 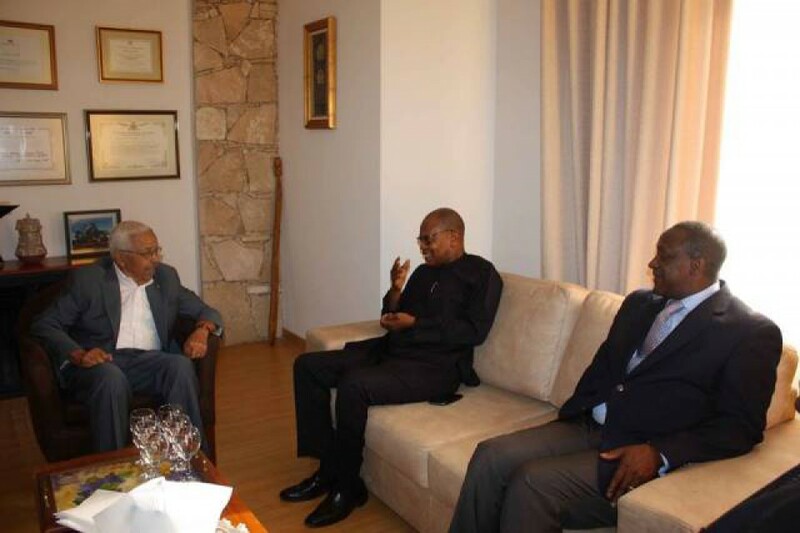 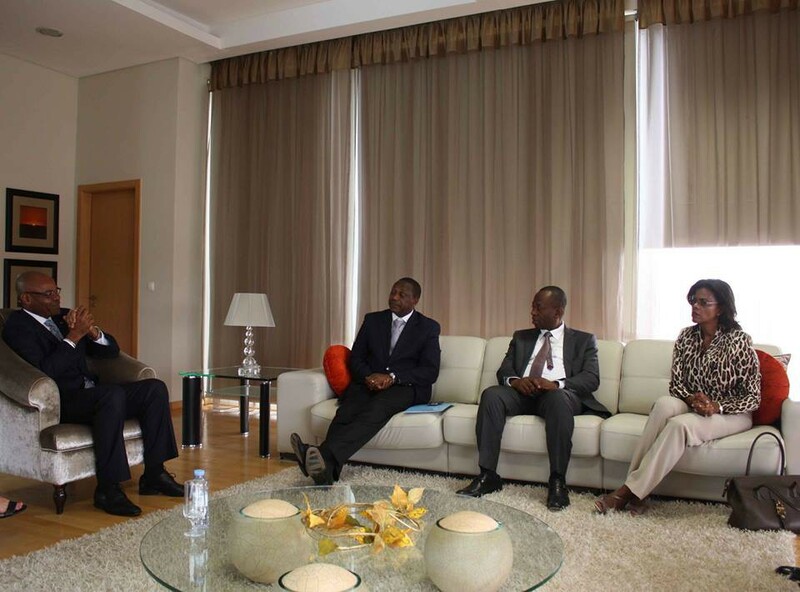 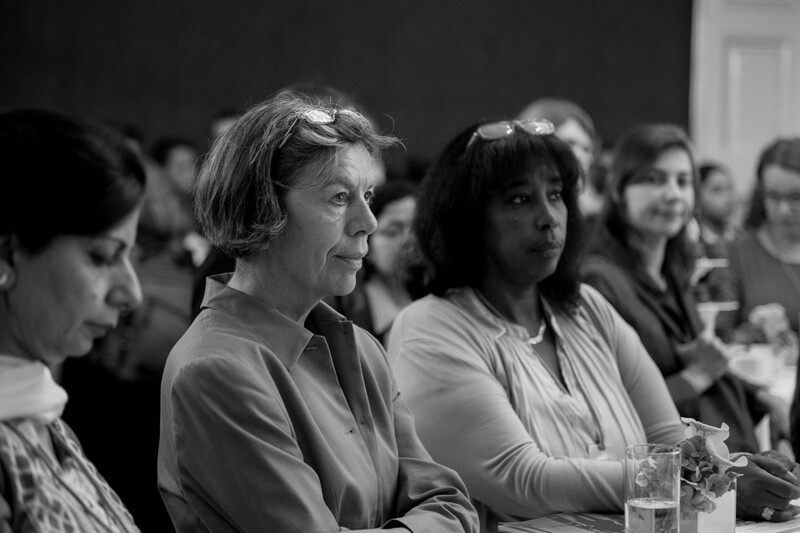 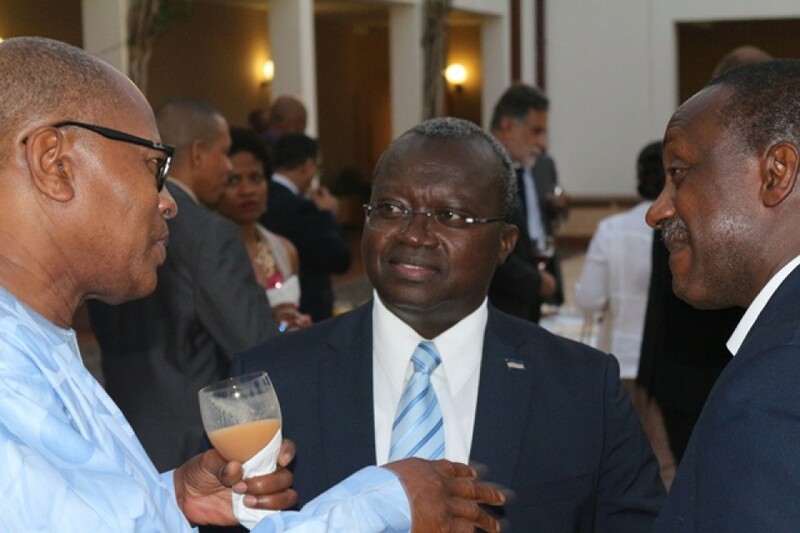 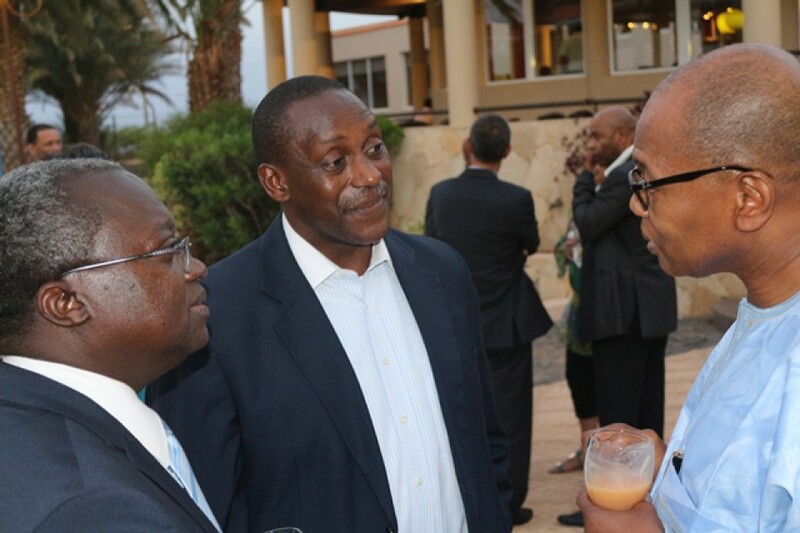 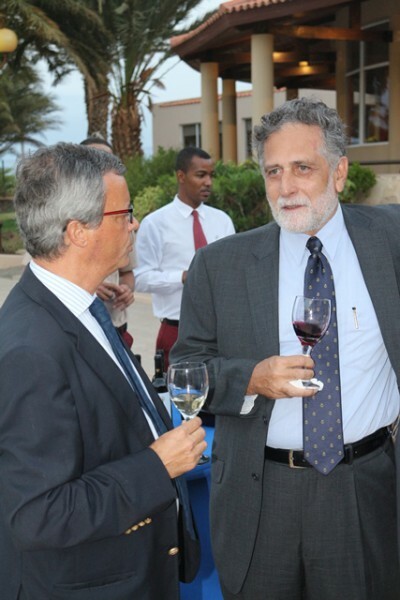 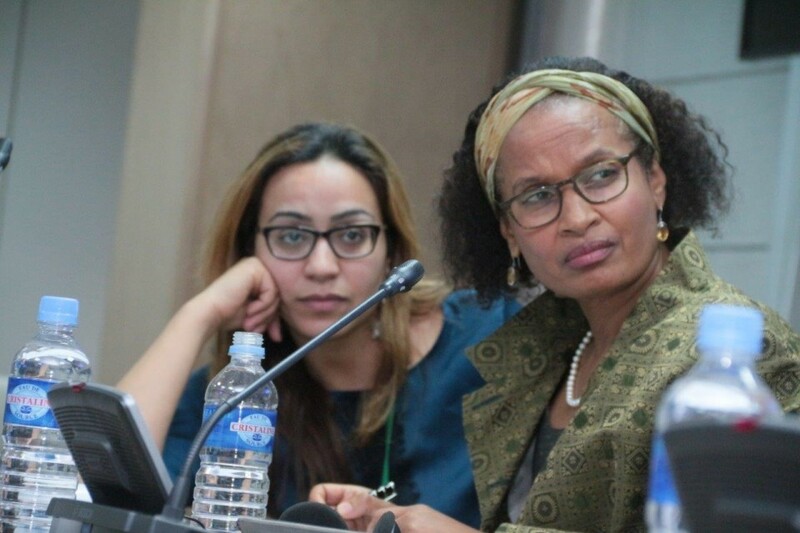 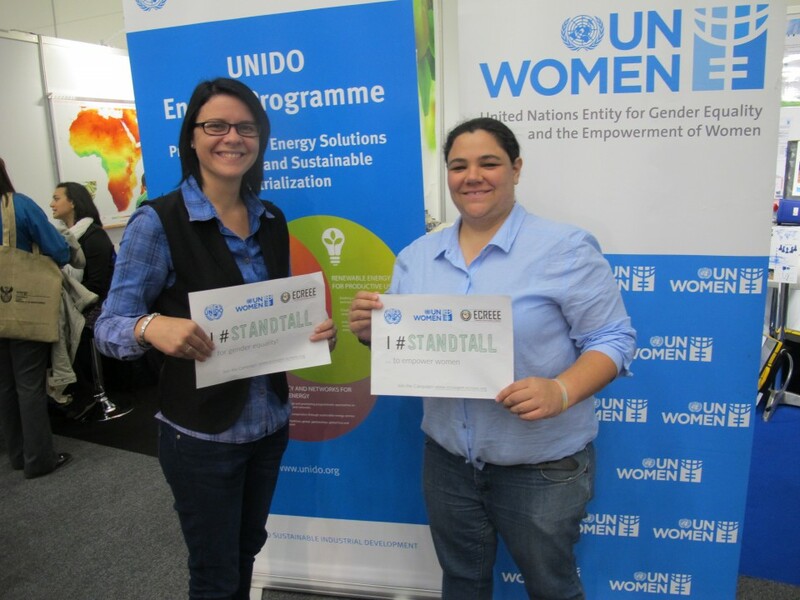 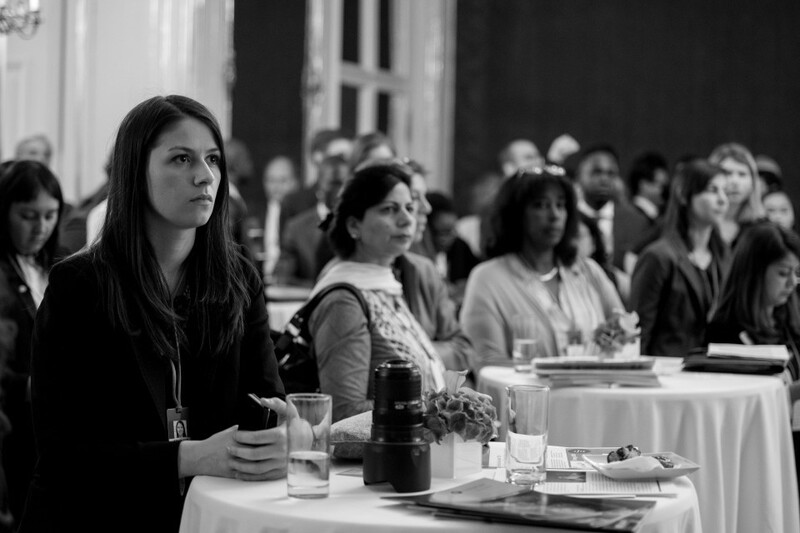 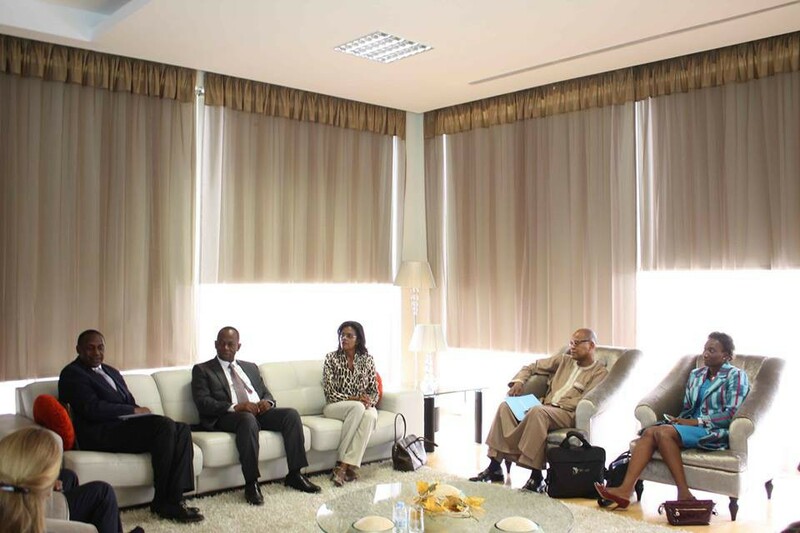 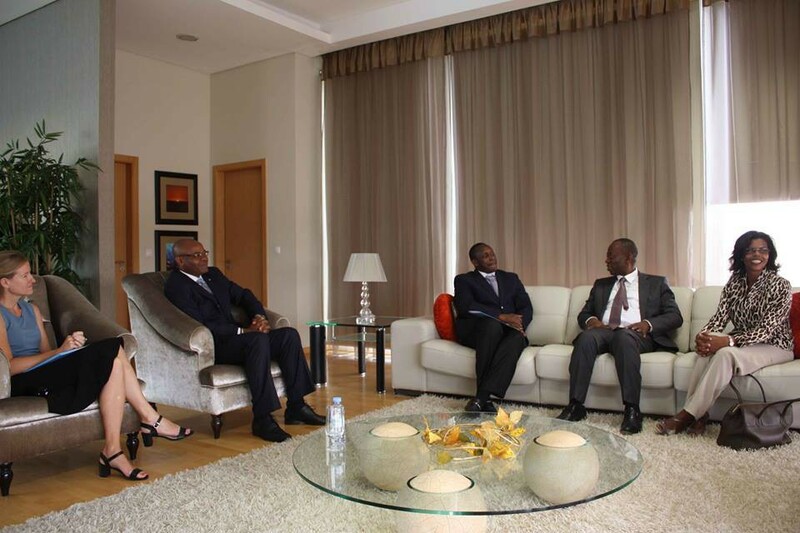 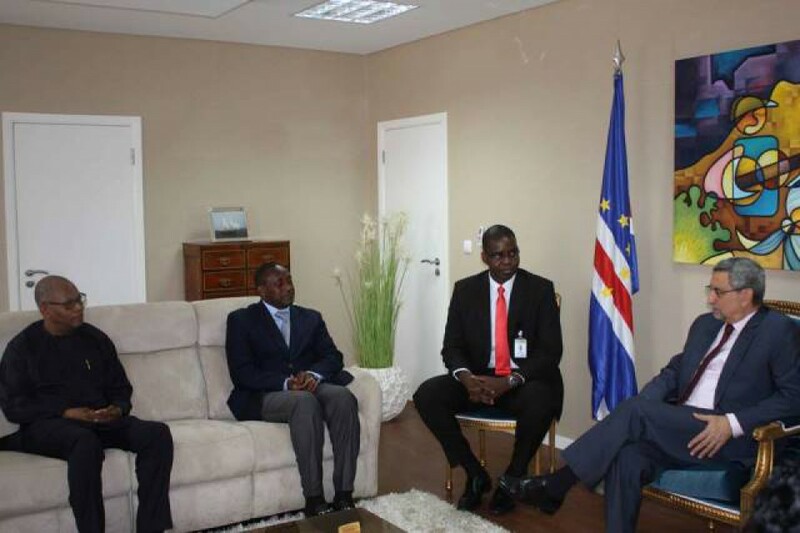 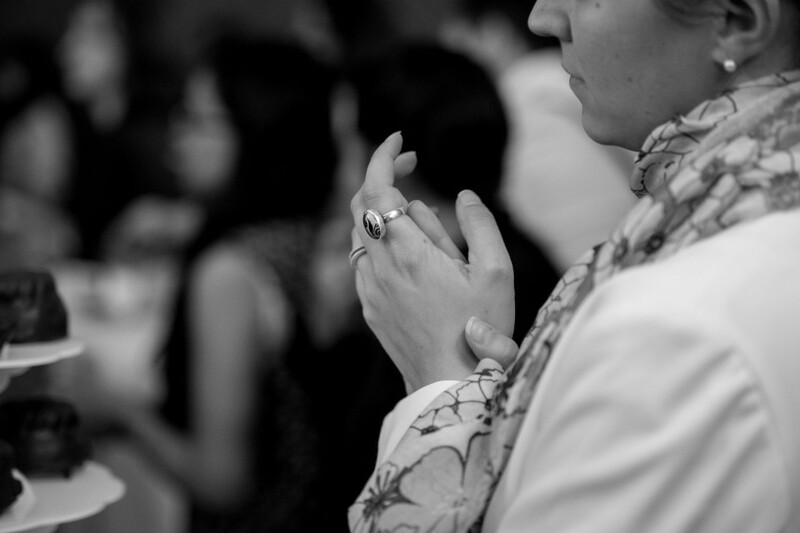 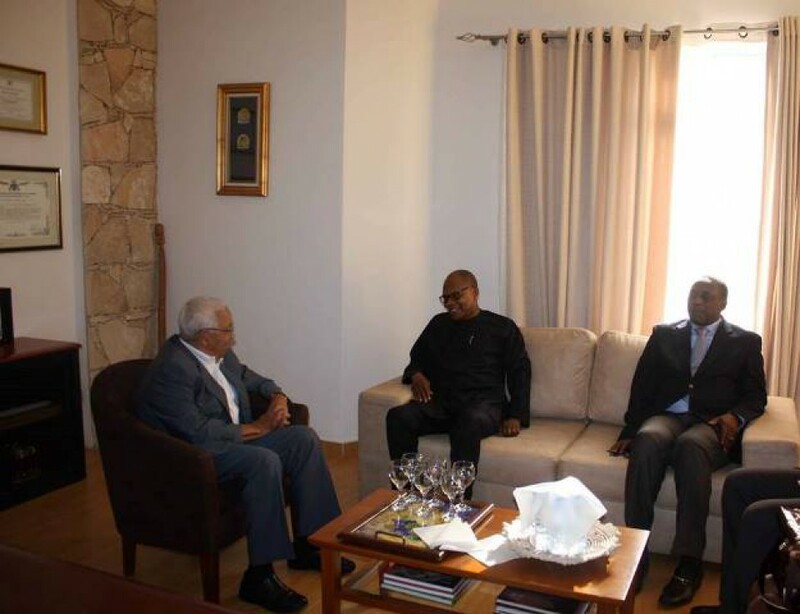 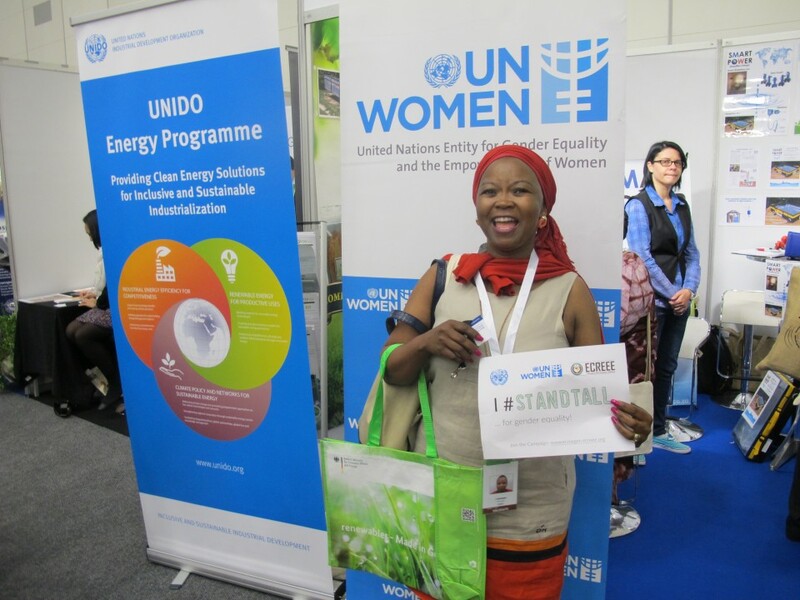 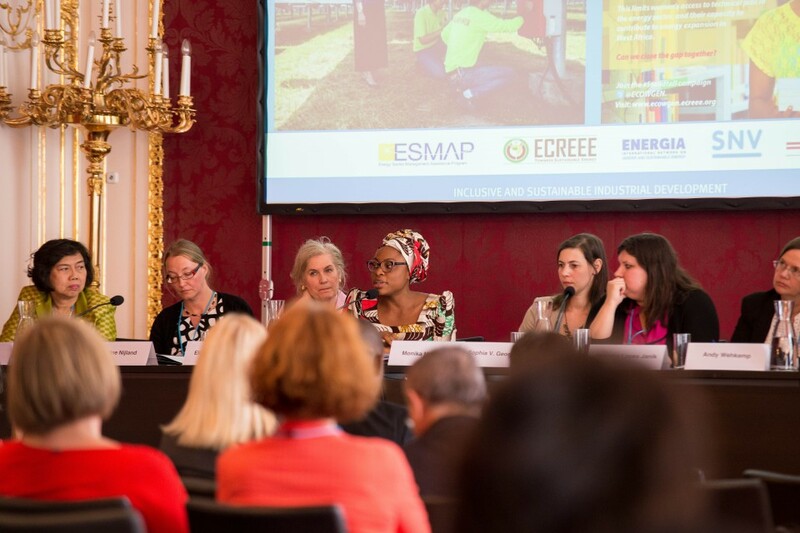 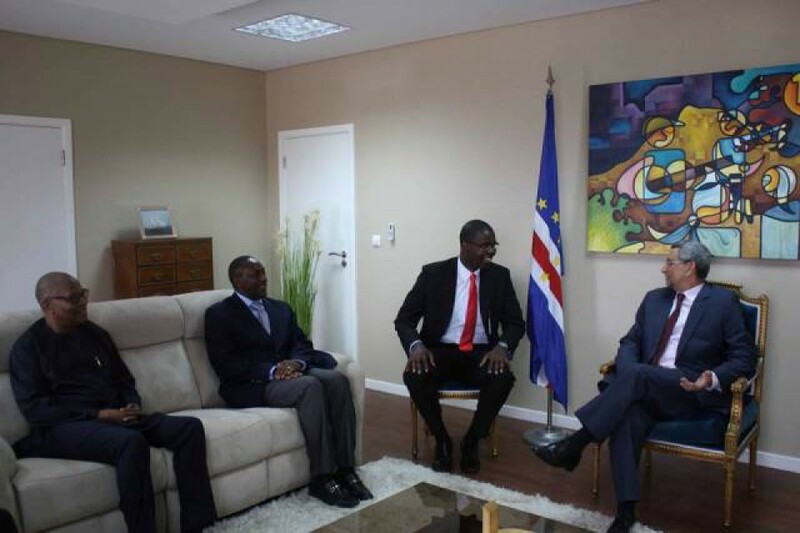 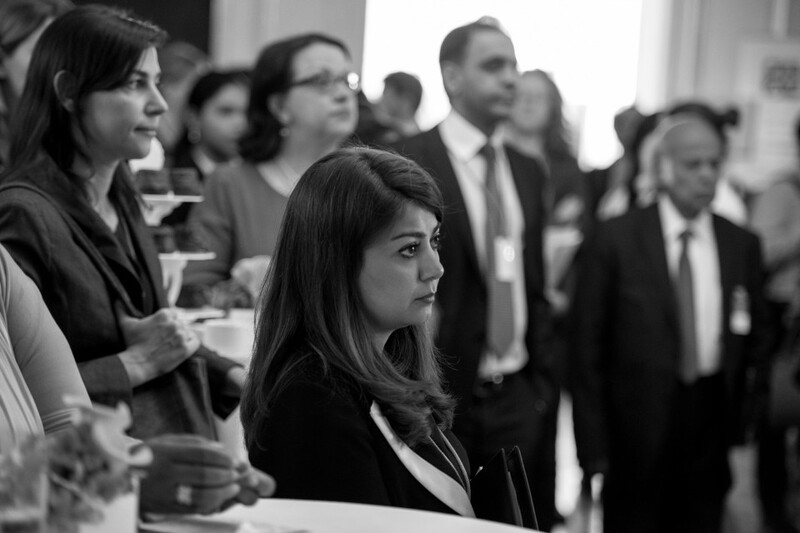 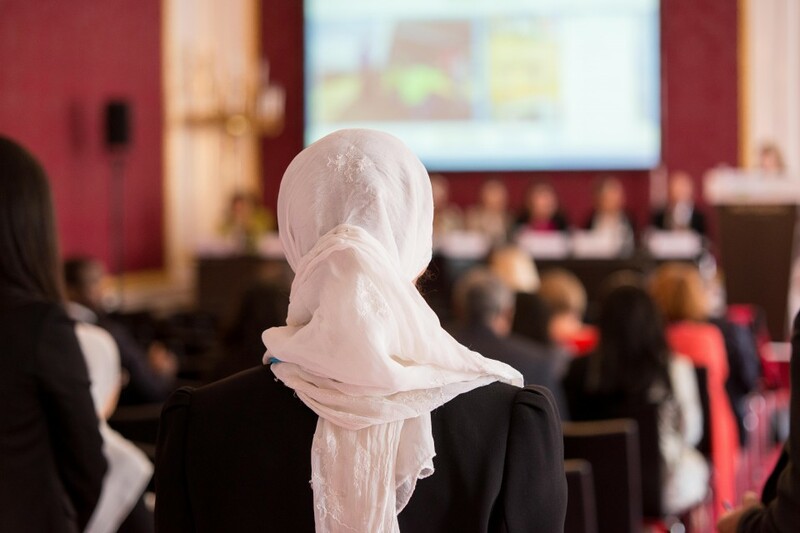 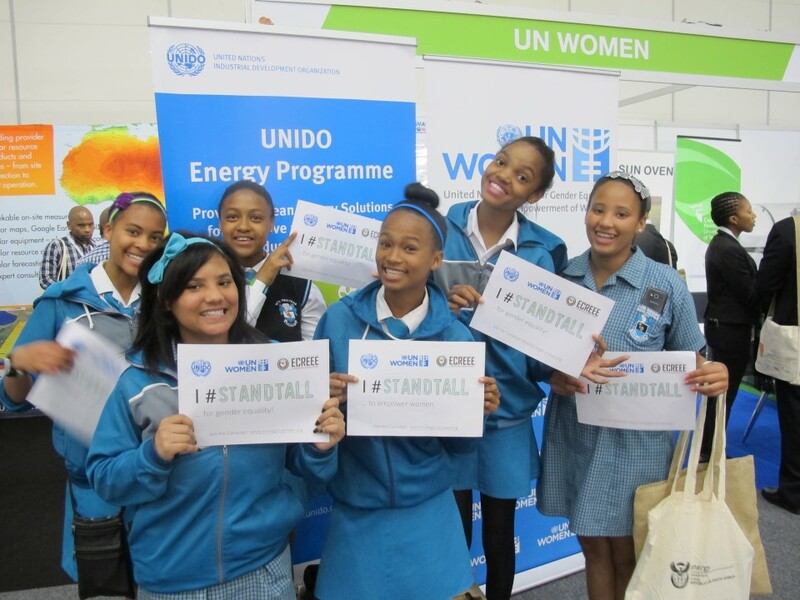 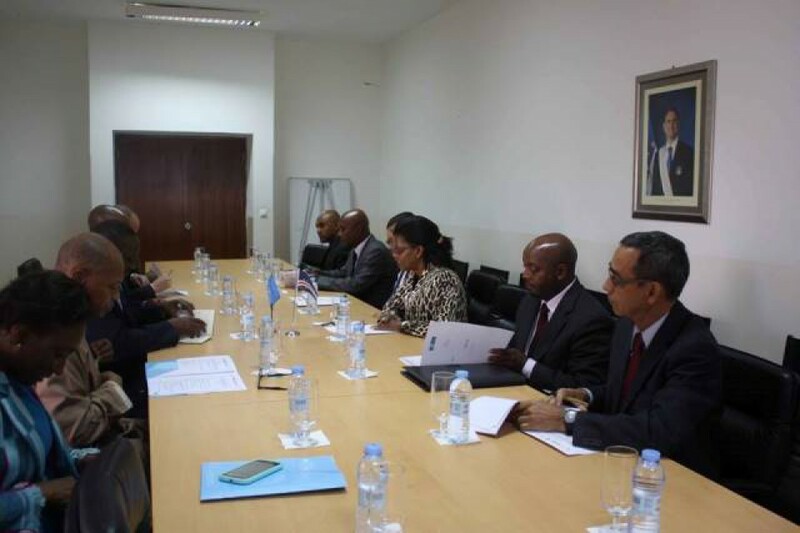 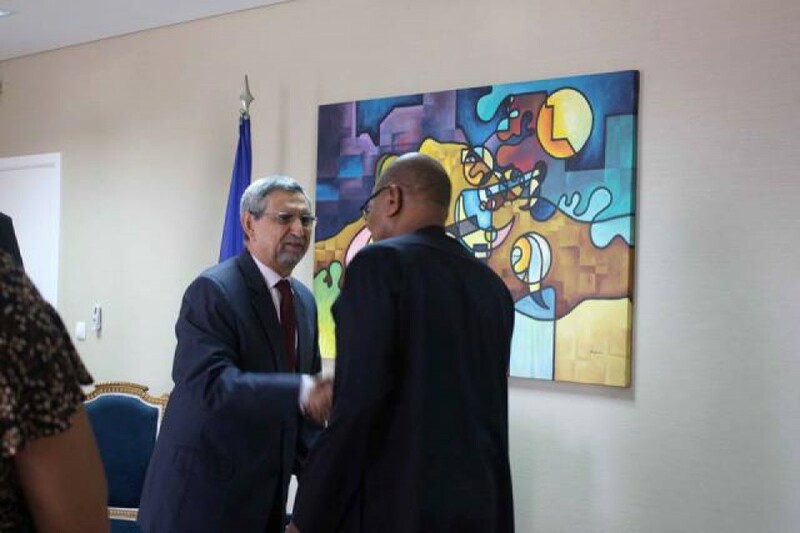 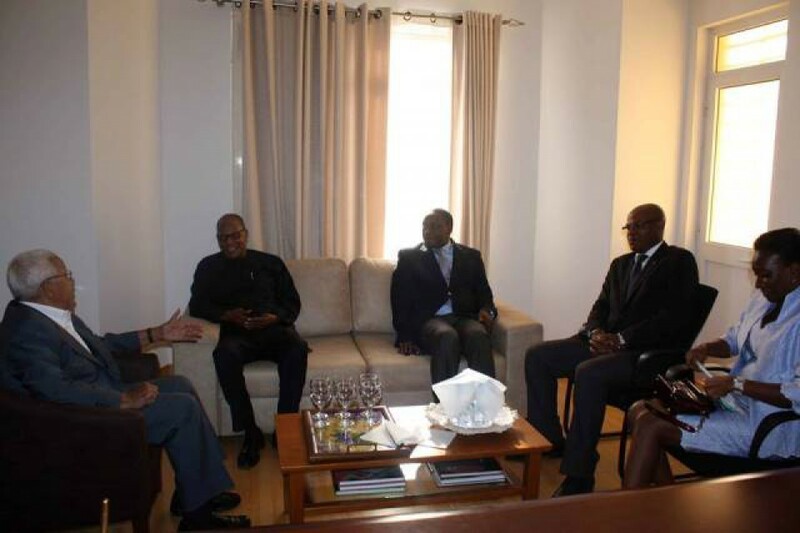 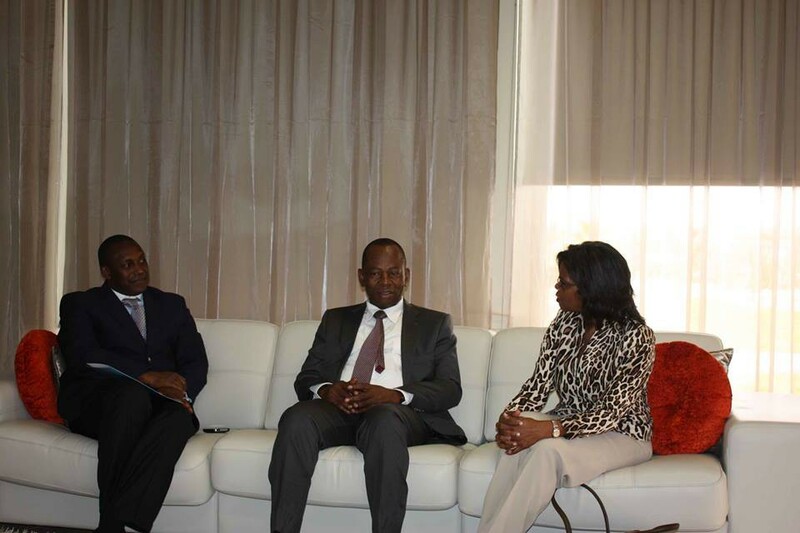 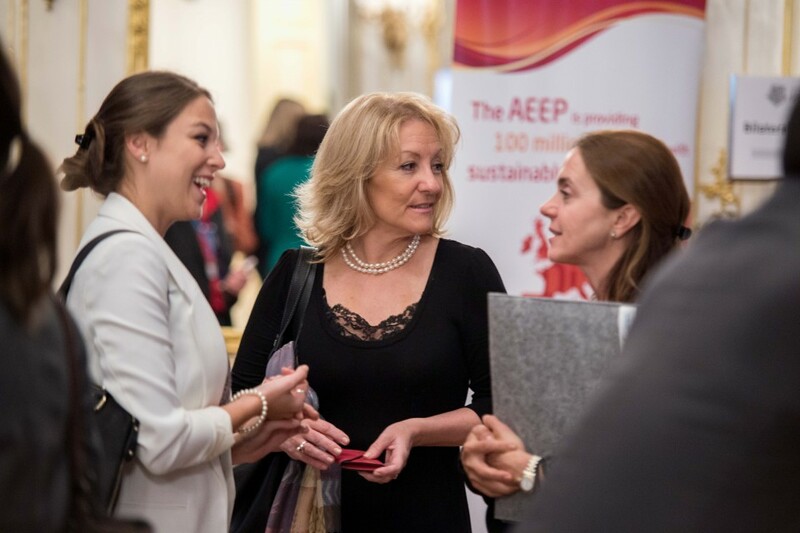 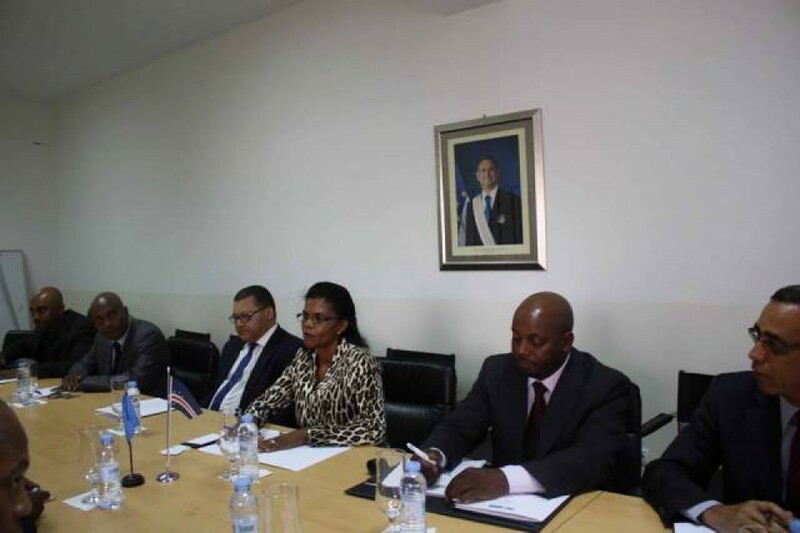 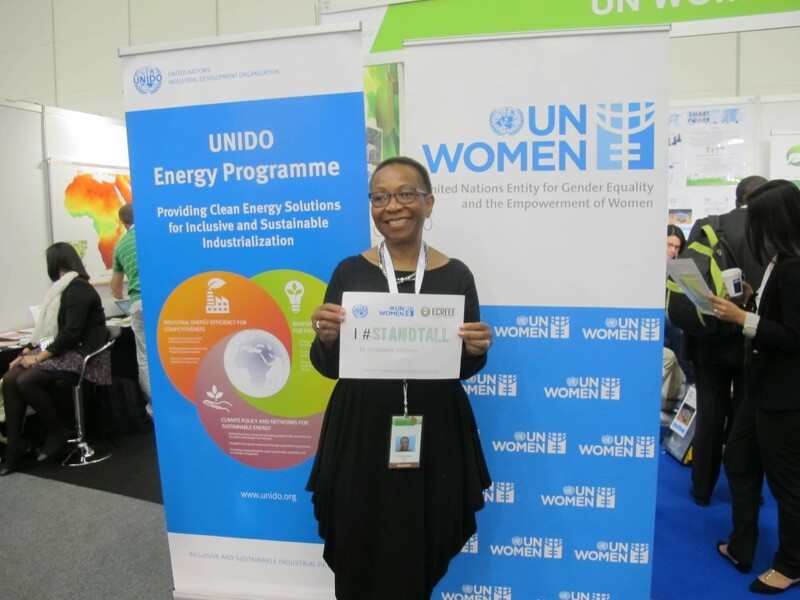 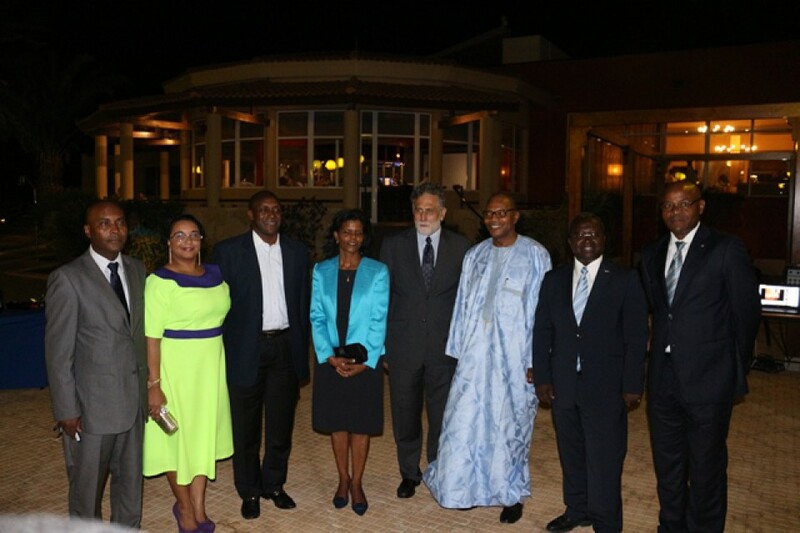 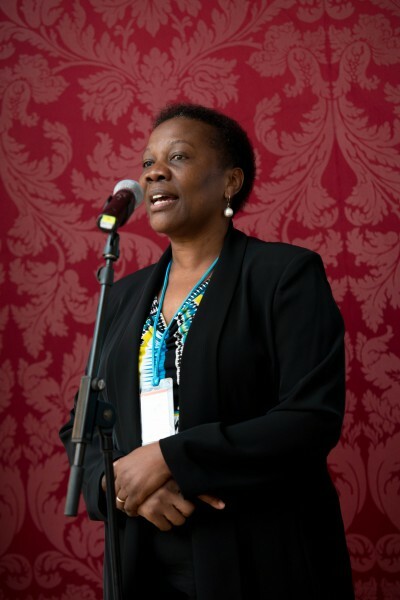 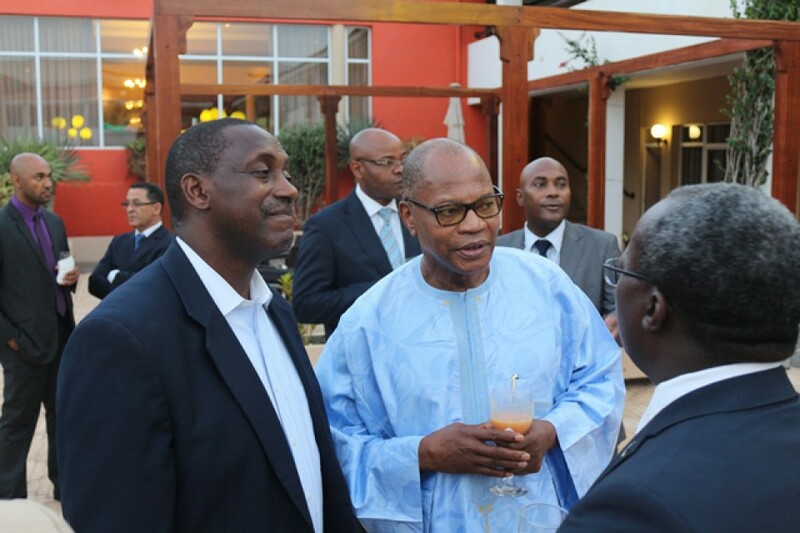 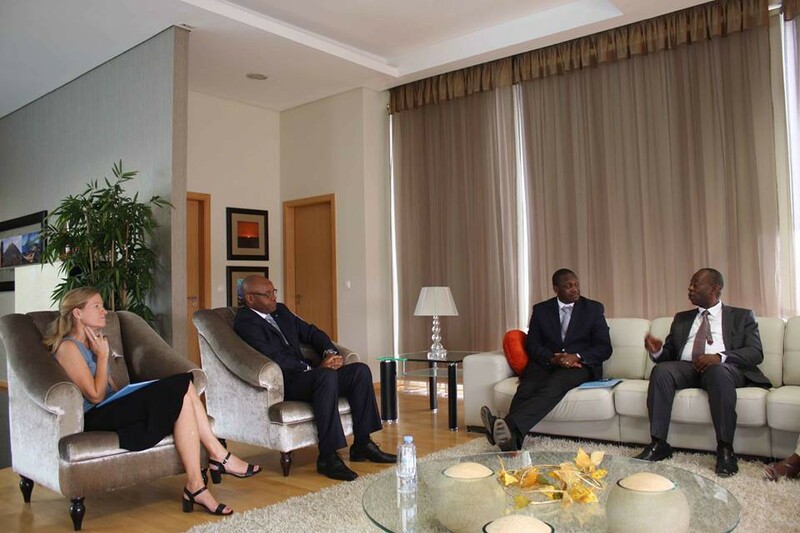 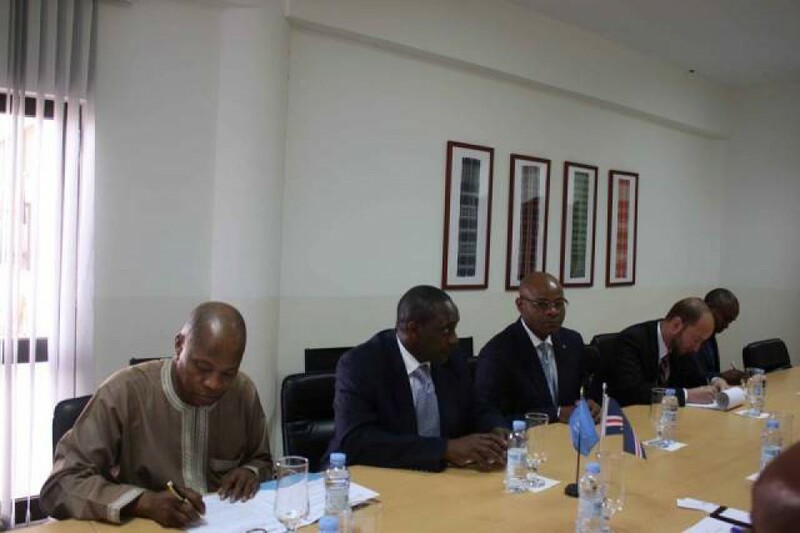 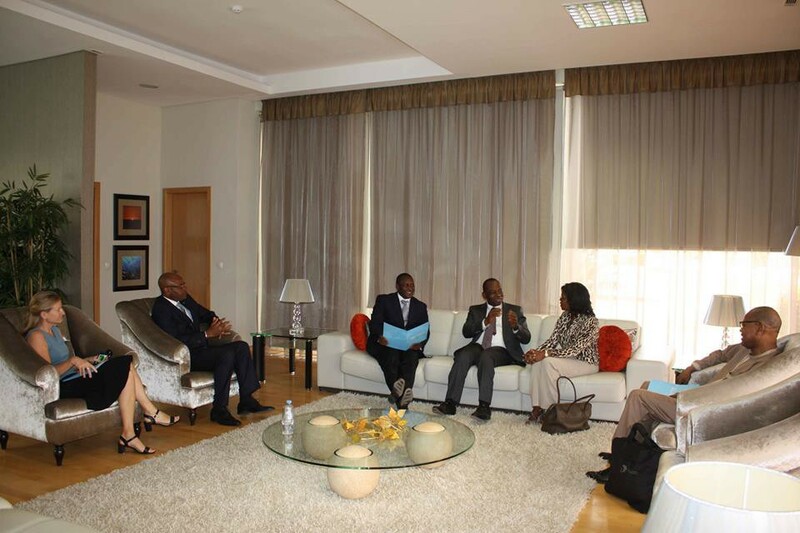 Cape Town, 7 October 2015 – It started in Praia, Cabo Verde – a global campaign to raise awareness of the underutilized potential of women in the energy sector. 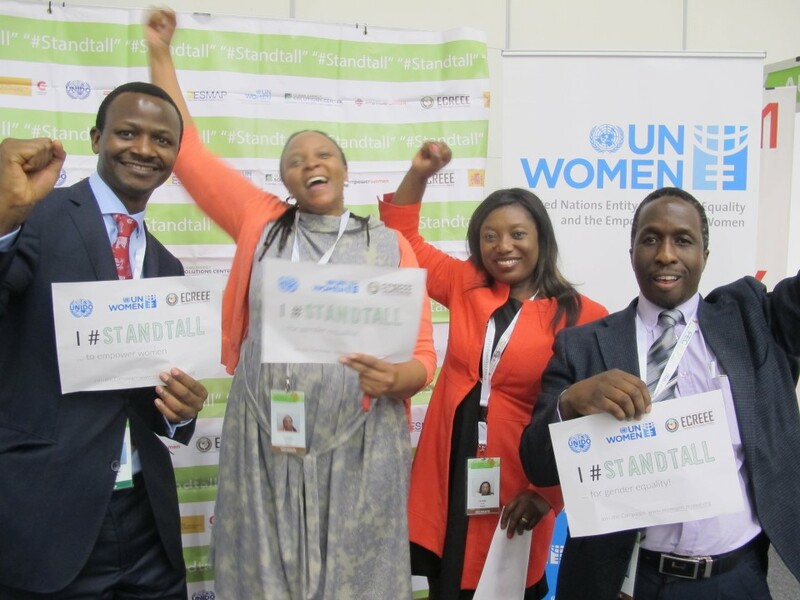 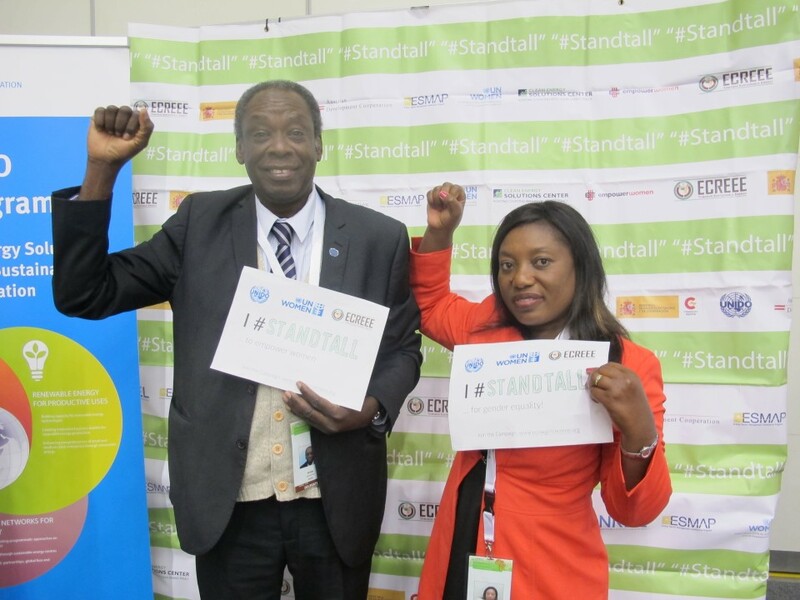 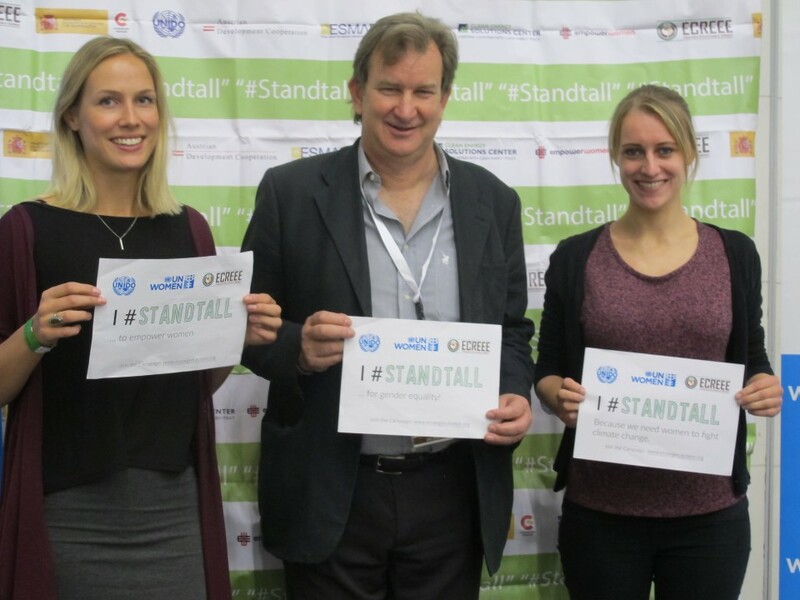 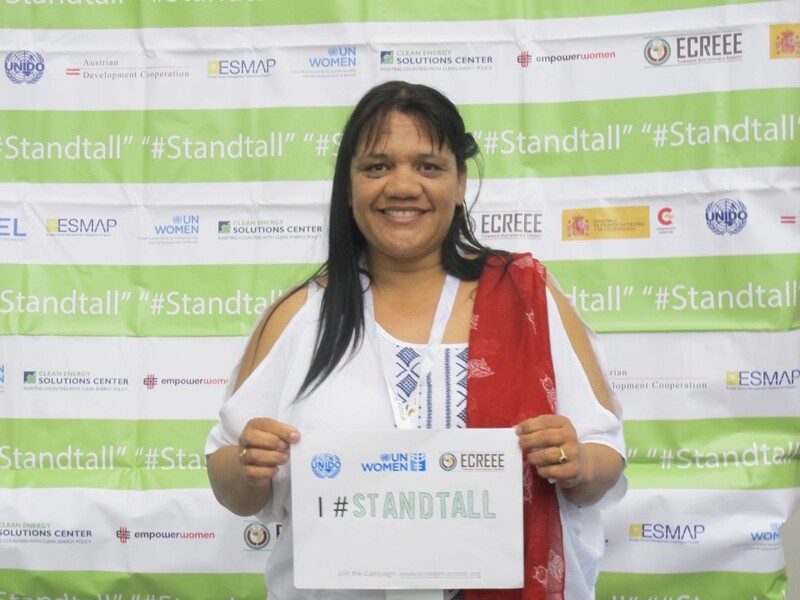 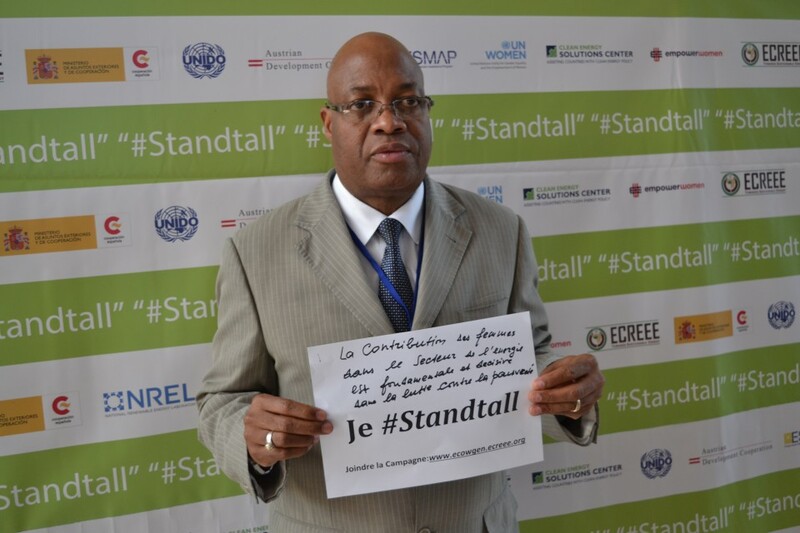 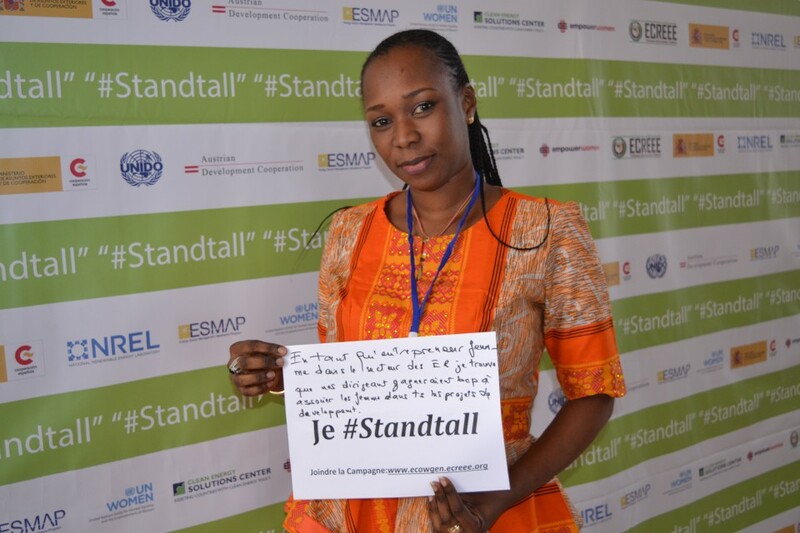 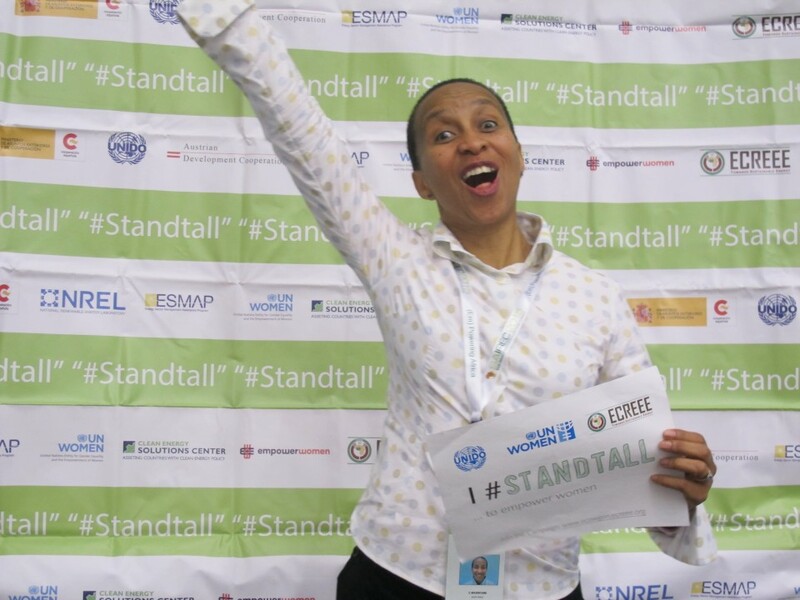 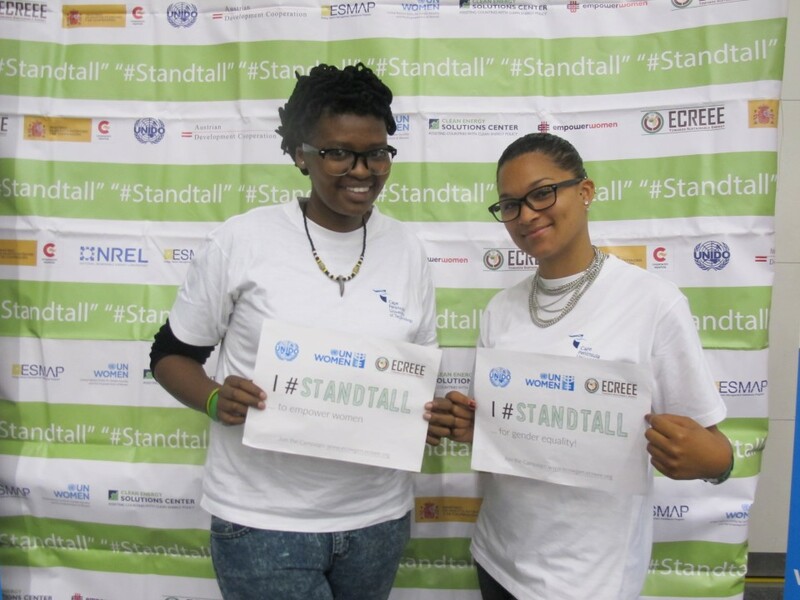 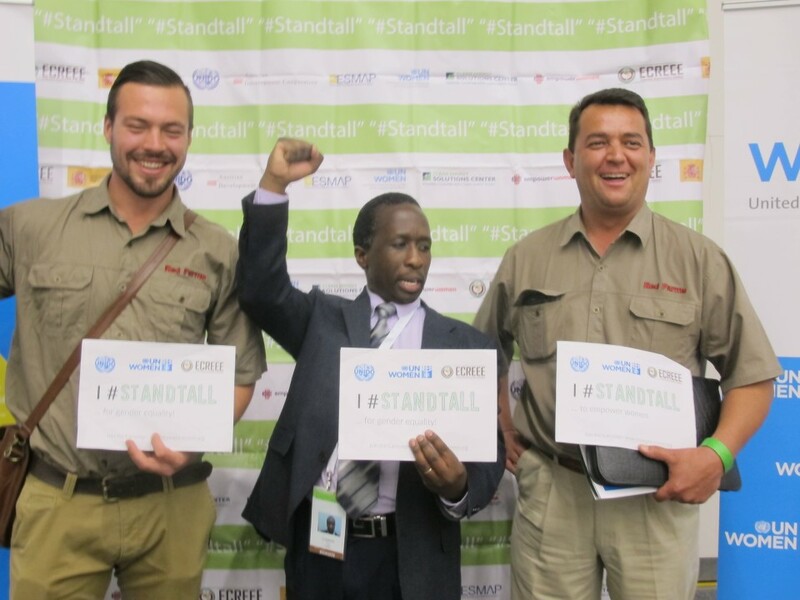 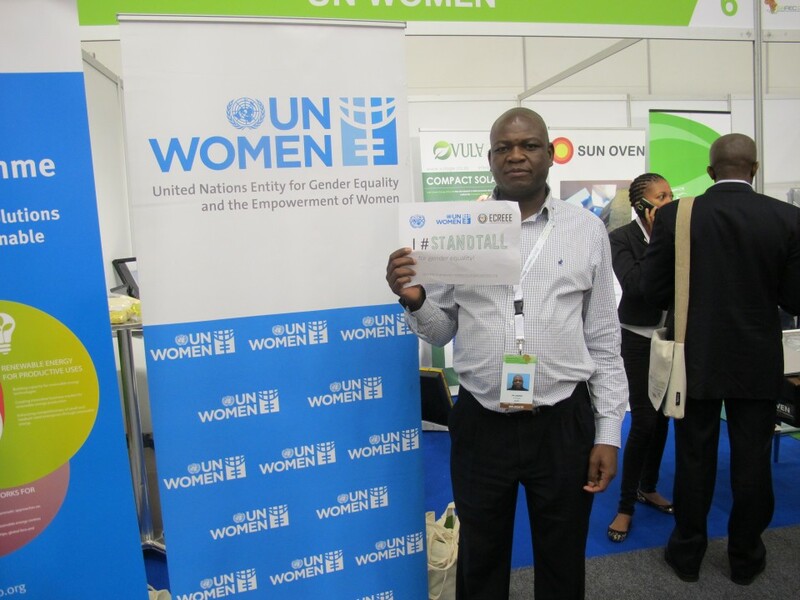 Since its launch in March 2015, the message of #STANDTALL has travelled from West Africa to Southern Africa, Europe and the United States. 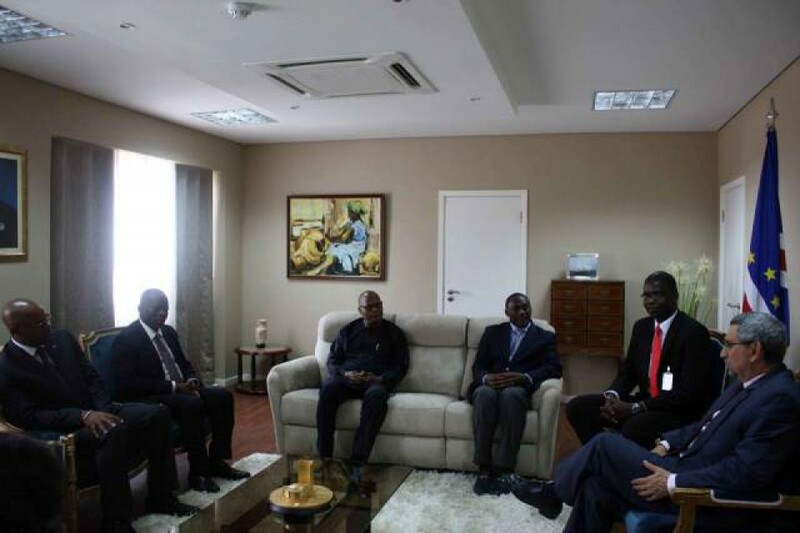 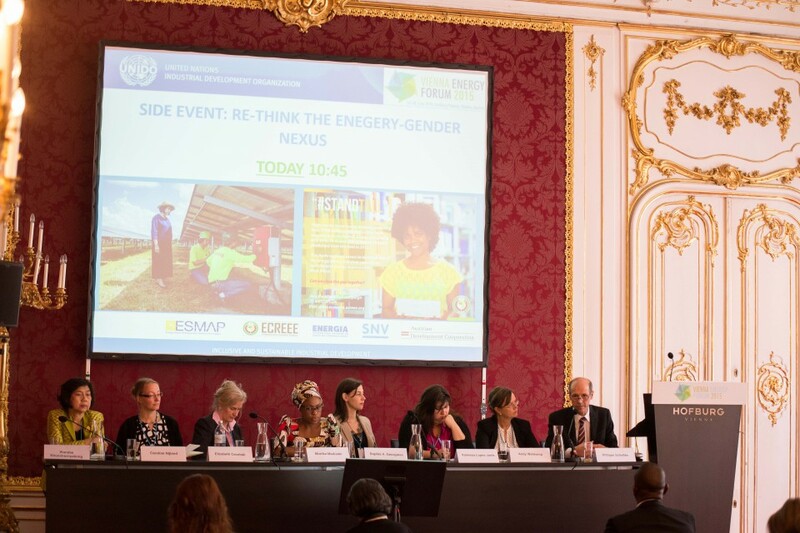 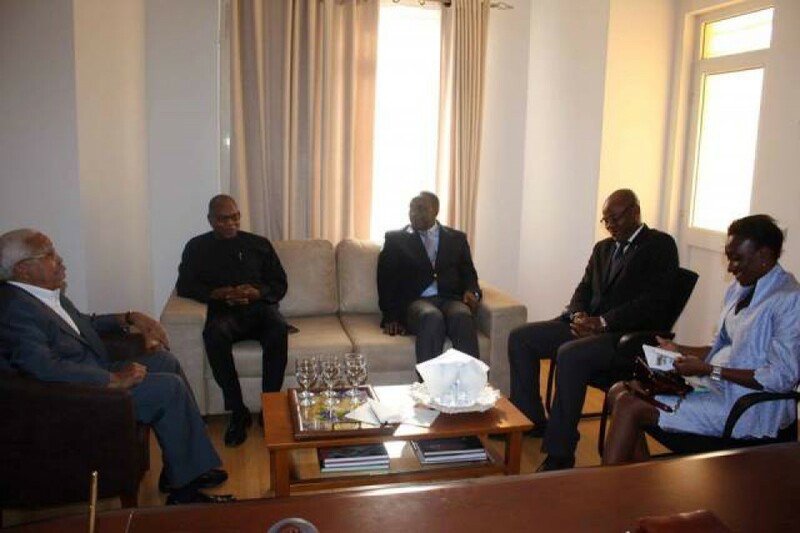 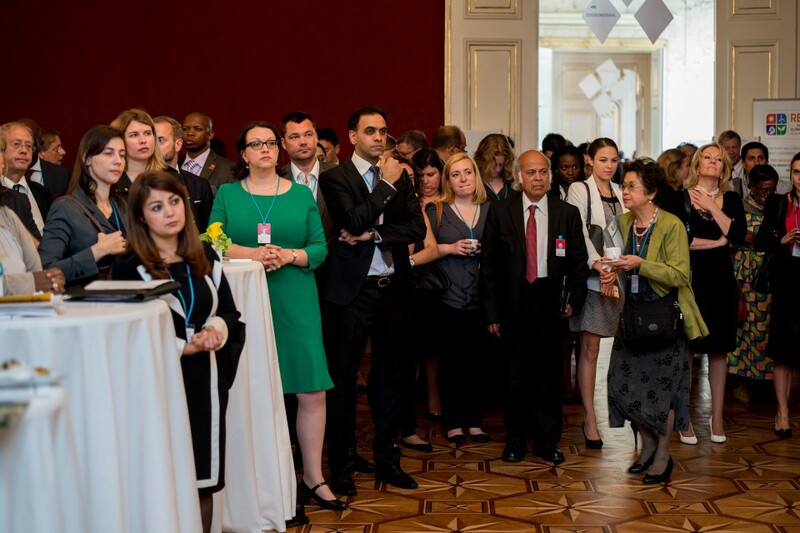 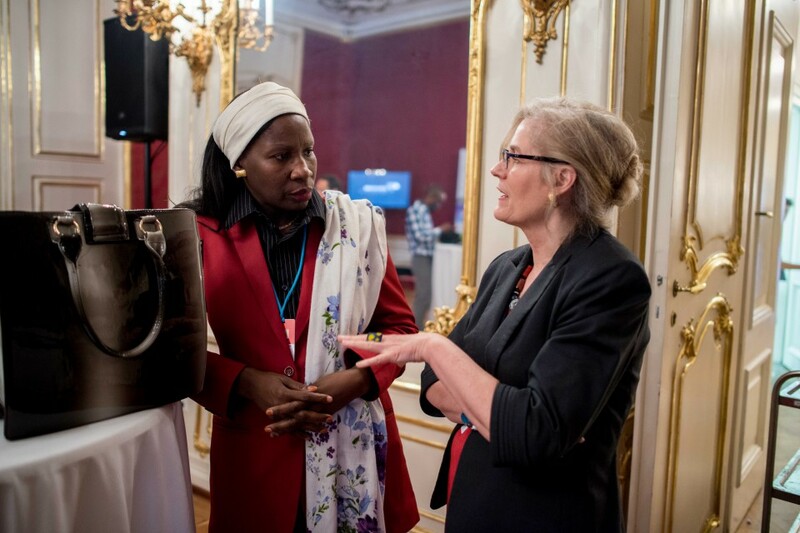 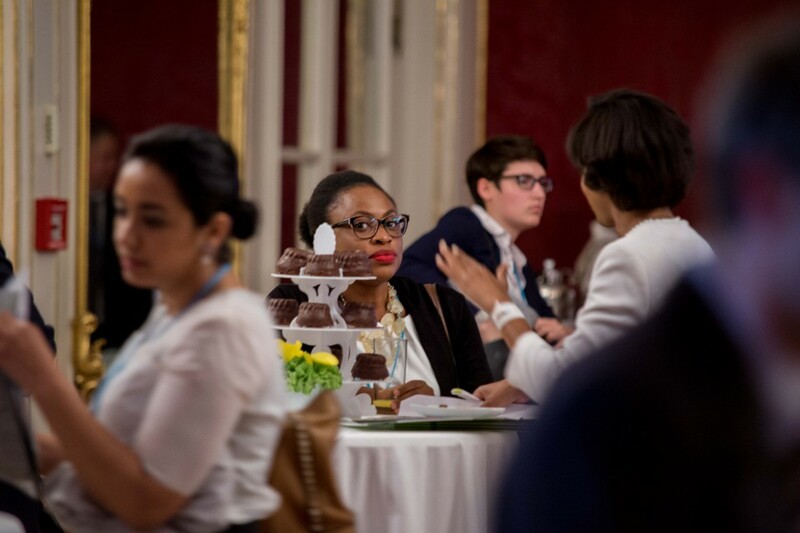 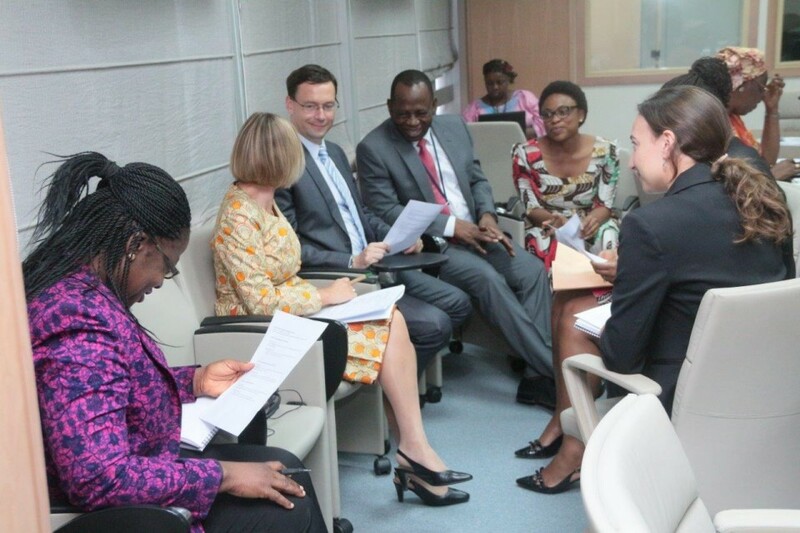 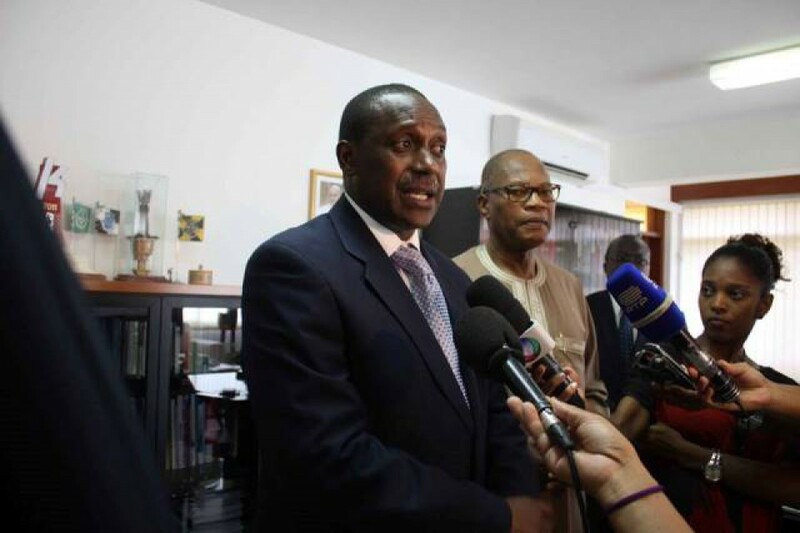 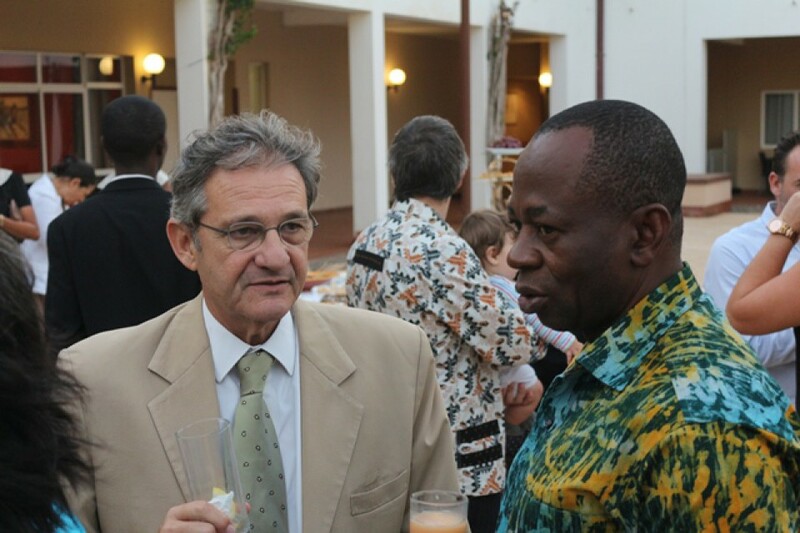 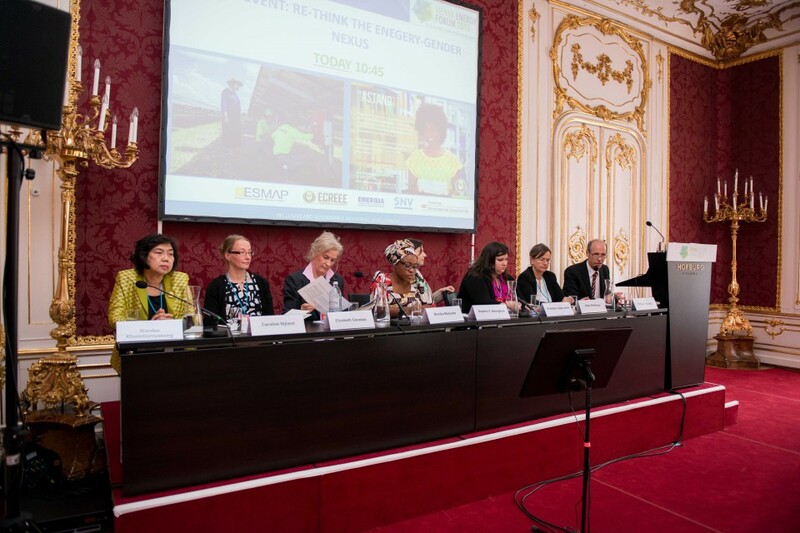 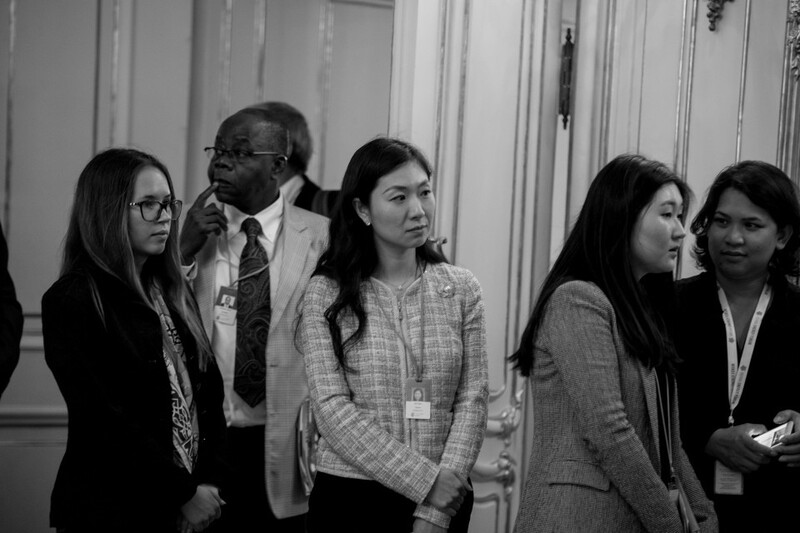 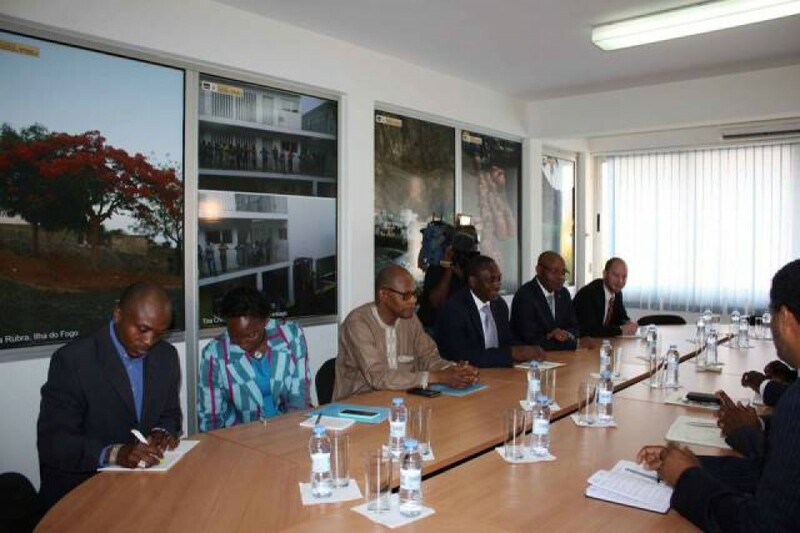 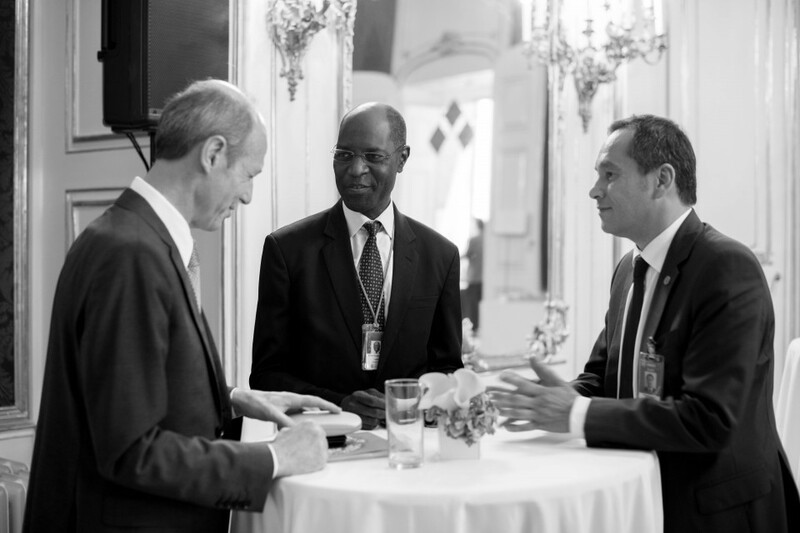 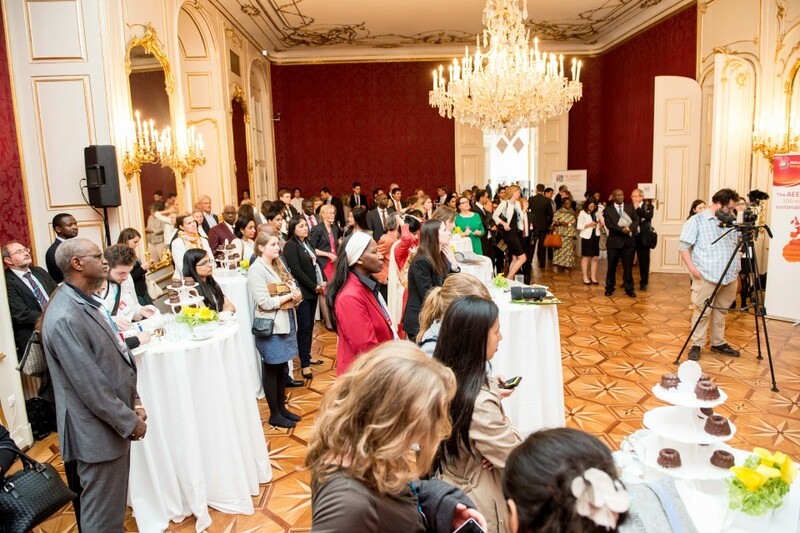 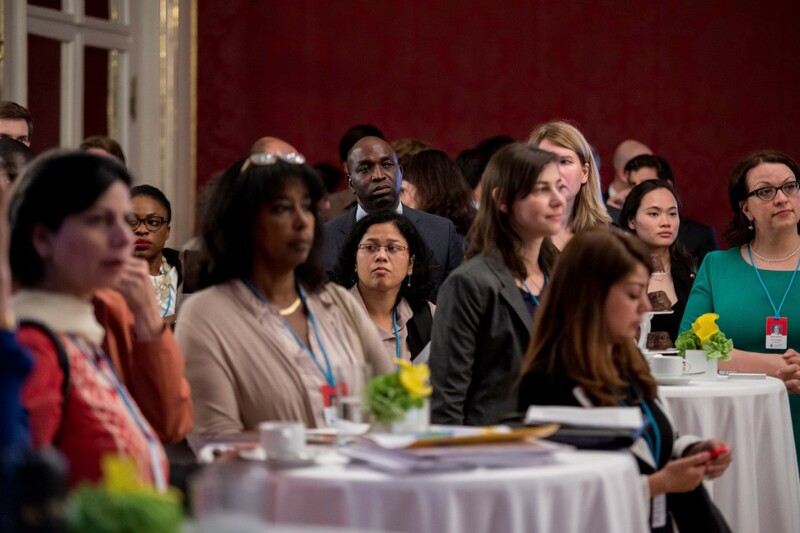 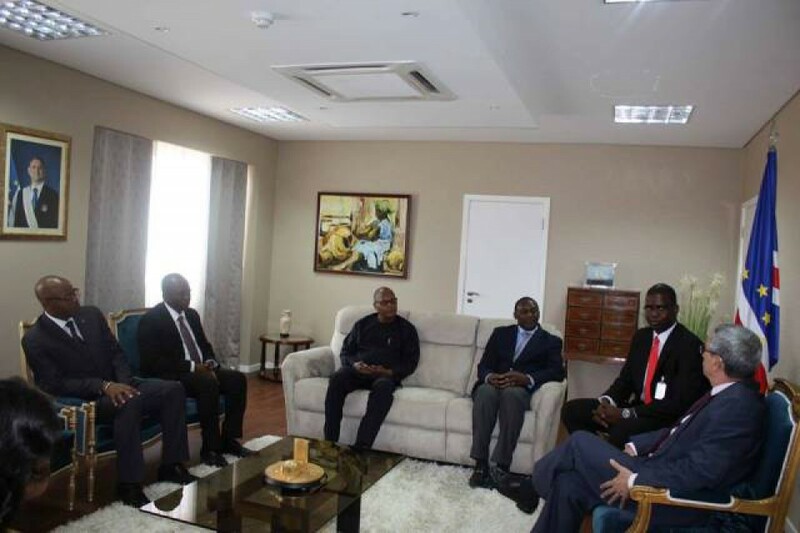 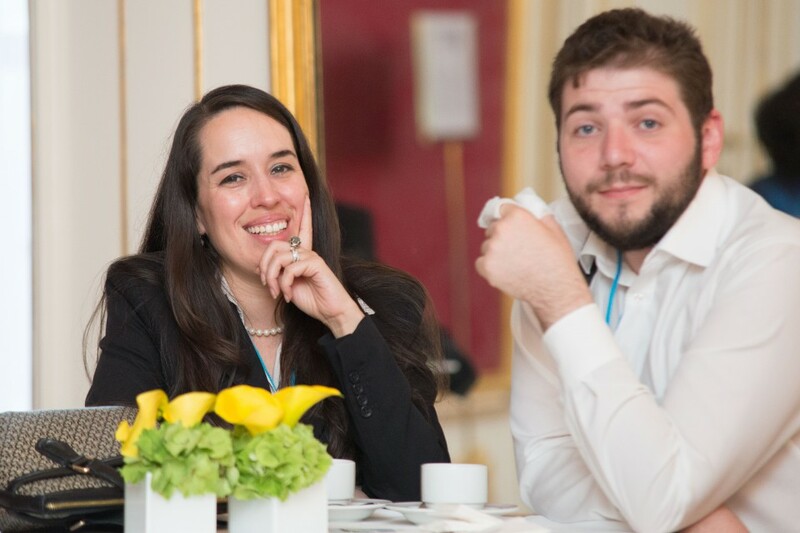 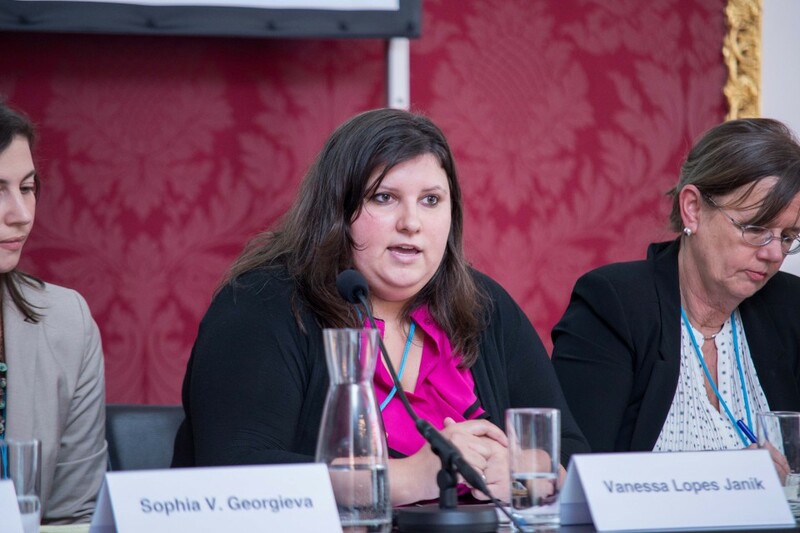 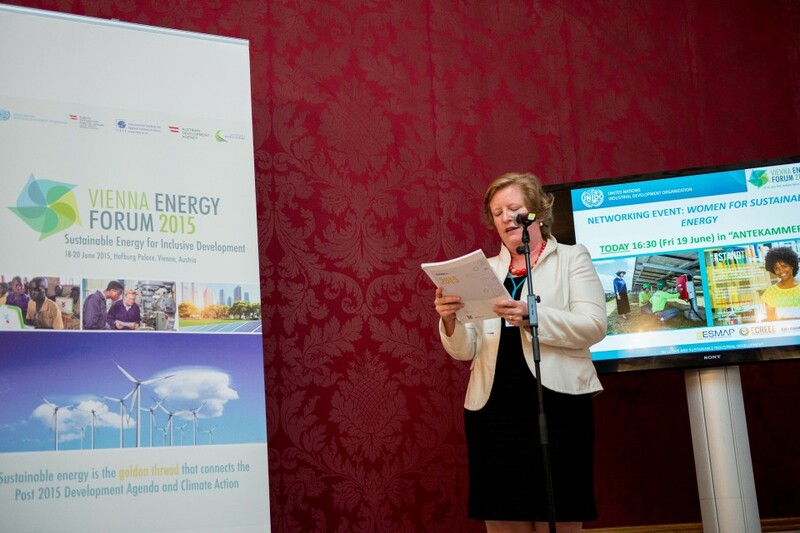 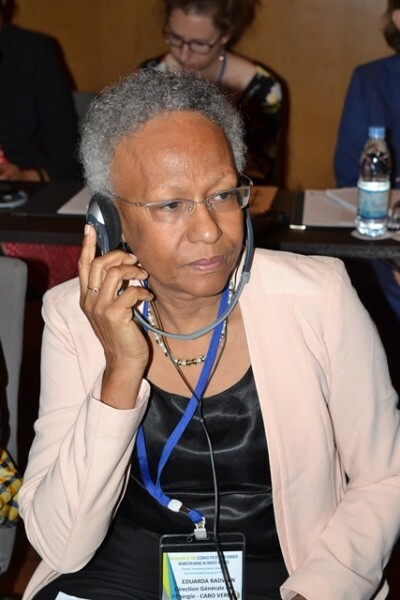 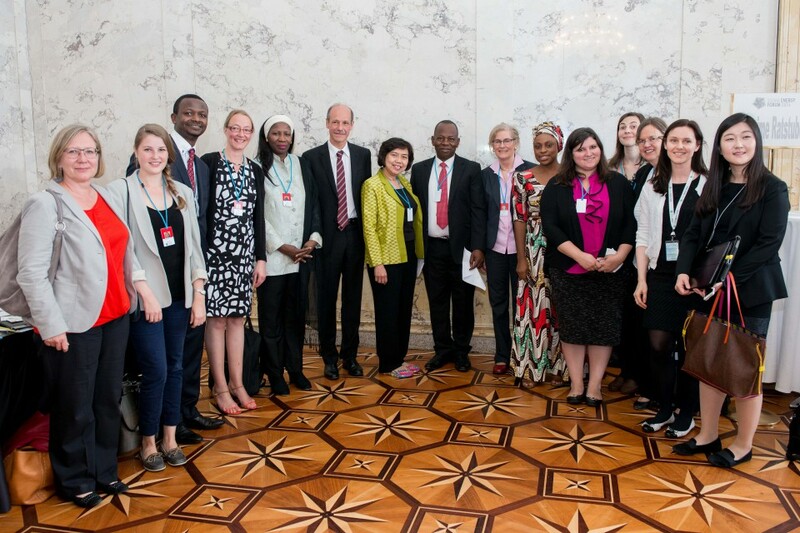 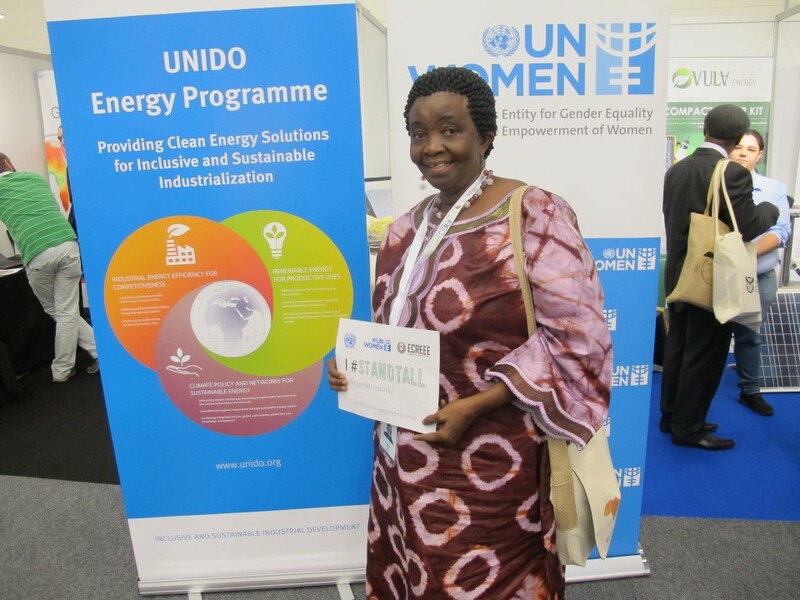 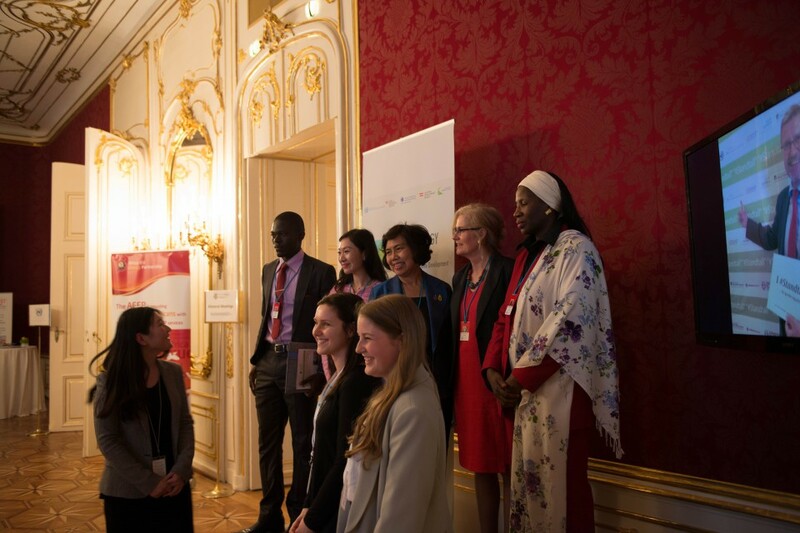 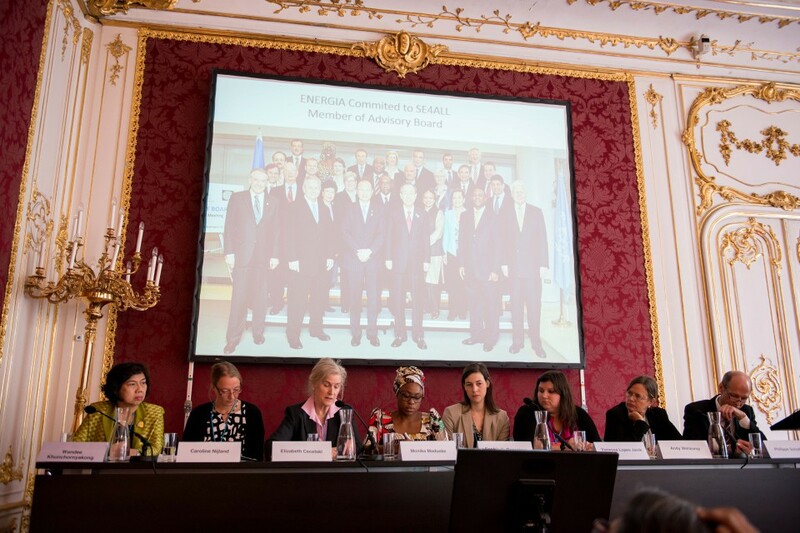 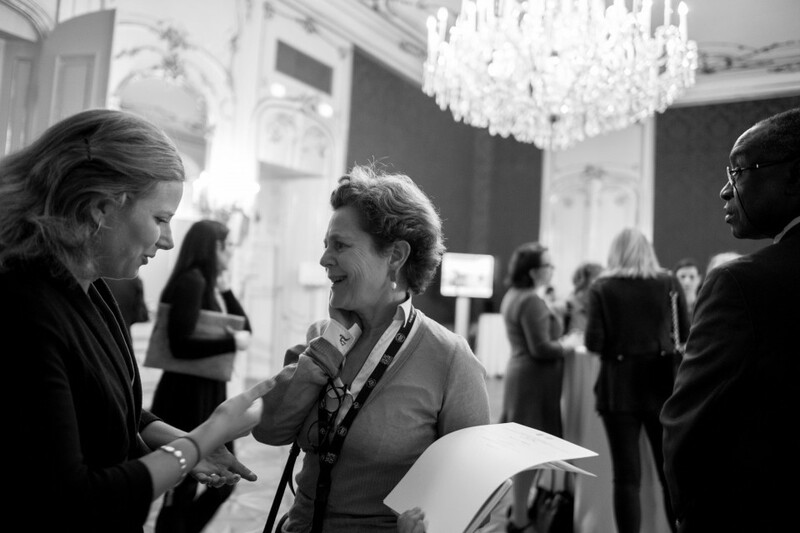 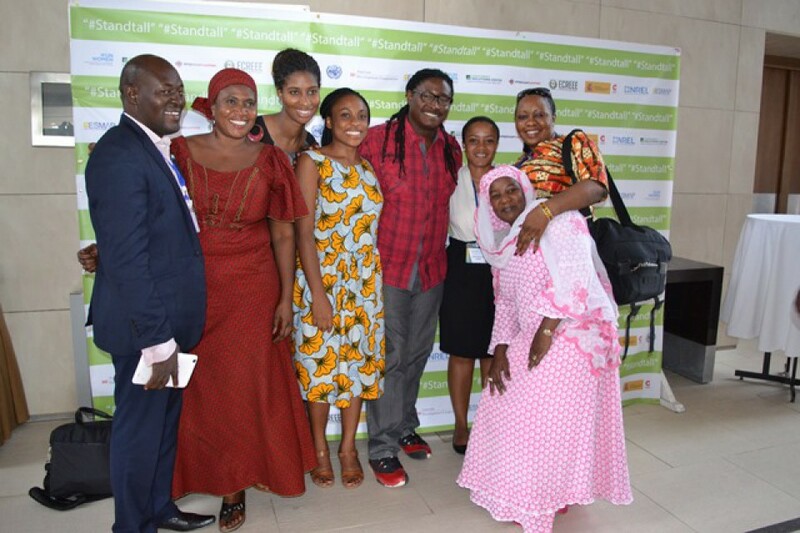 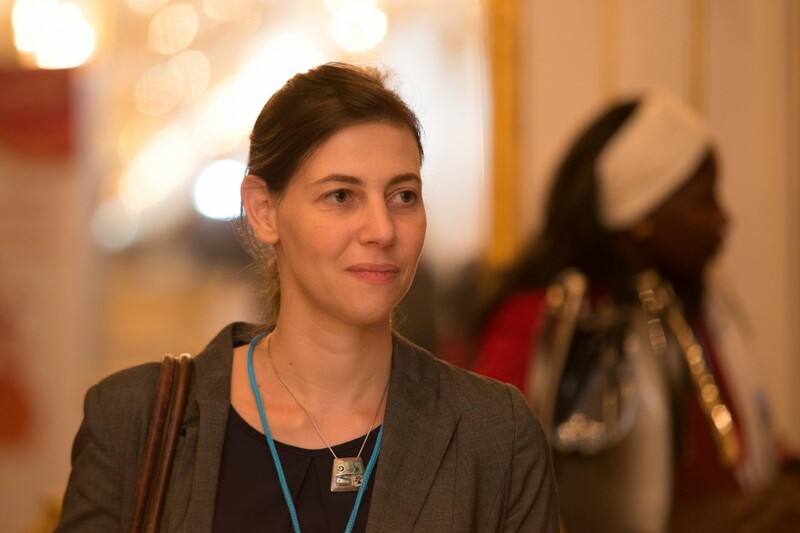 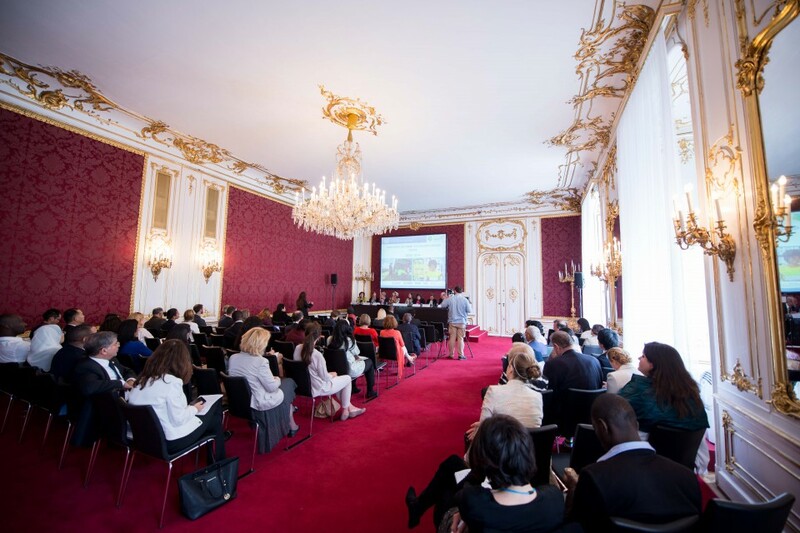 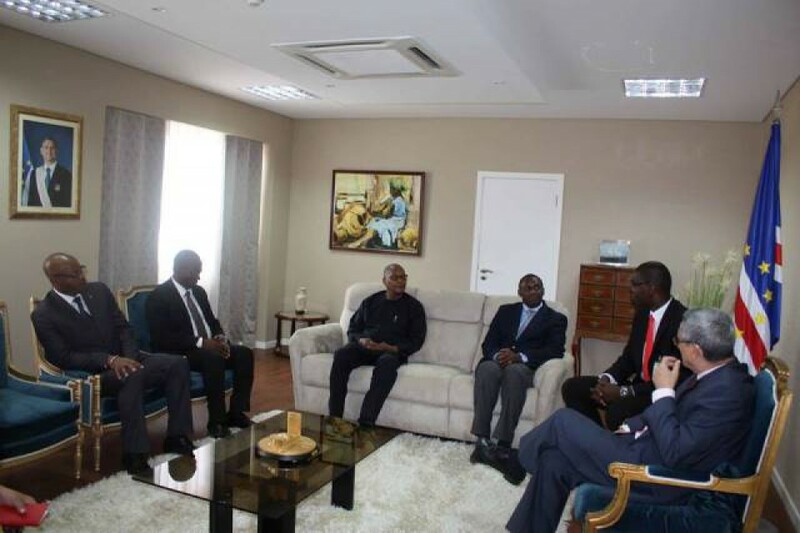 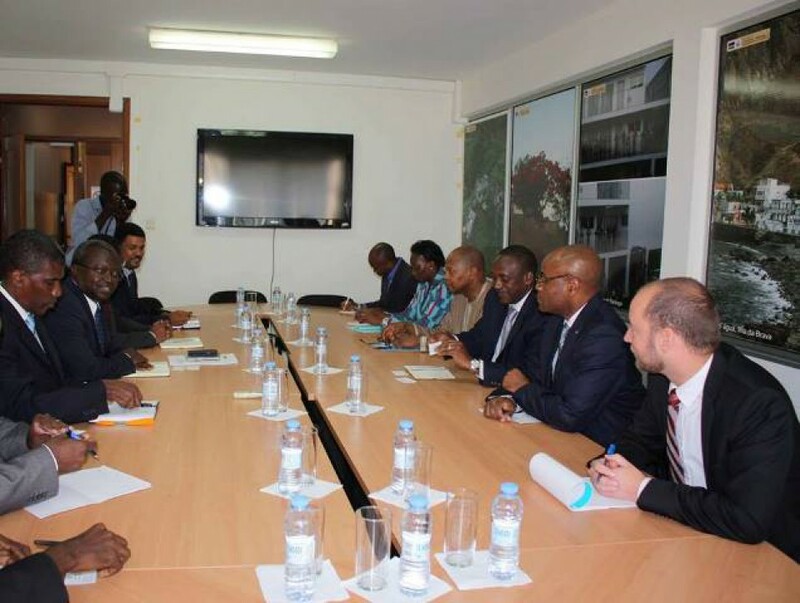 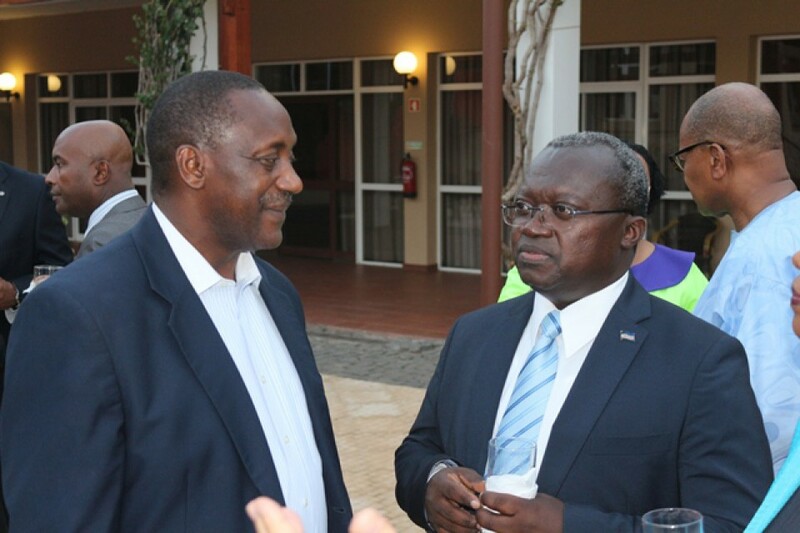 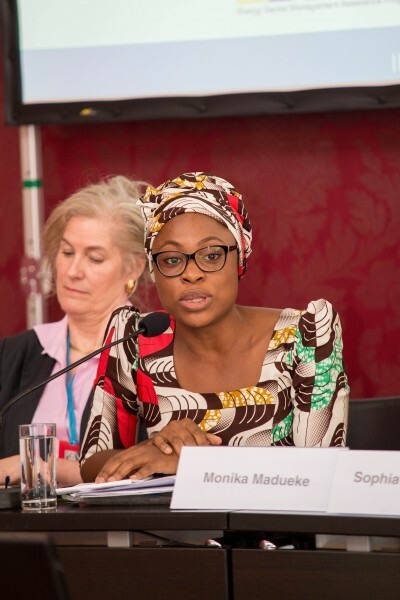 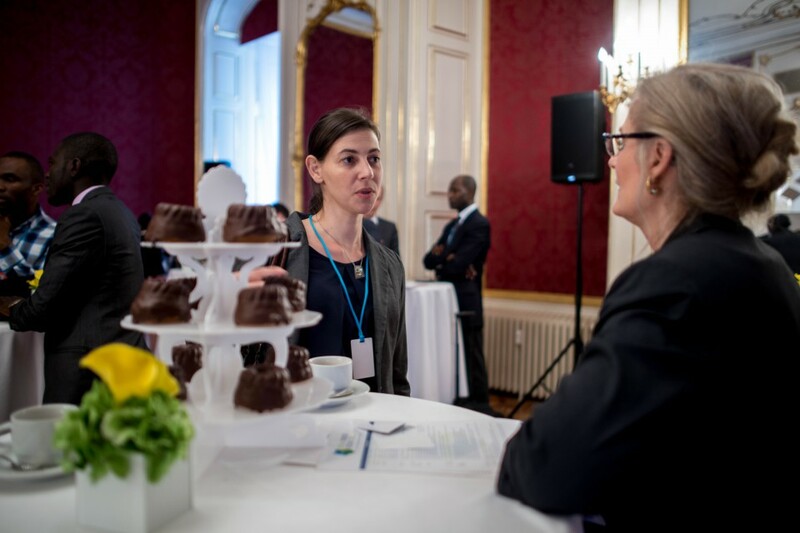 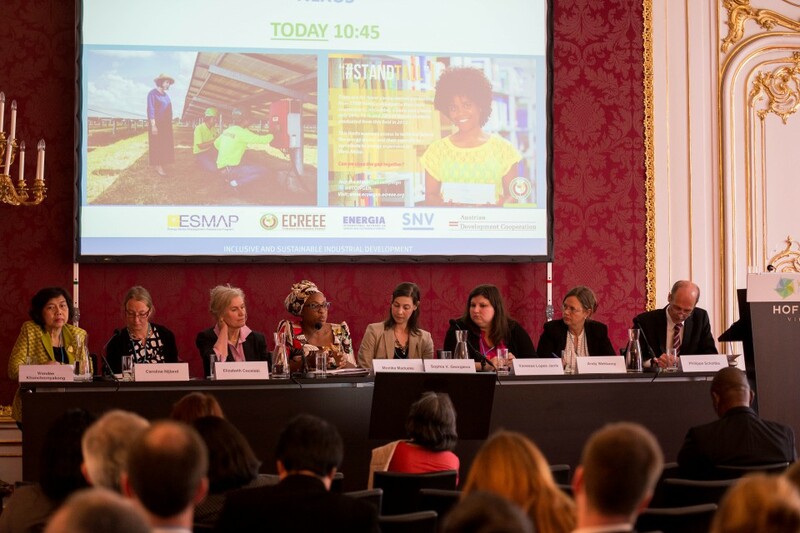 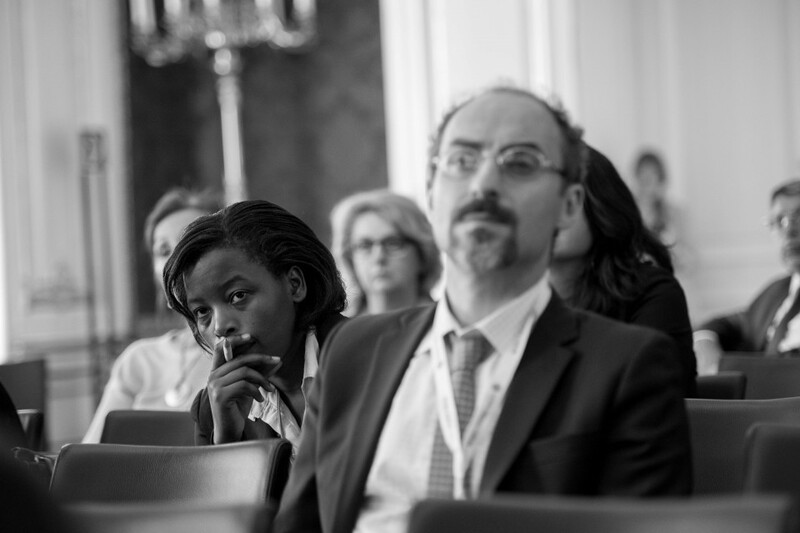 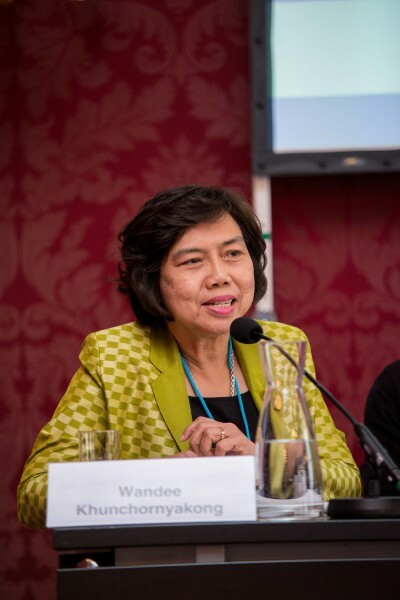 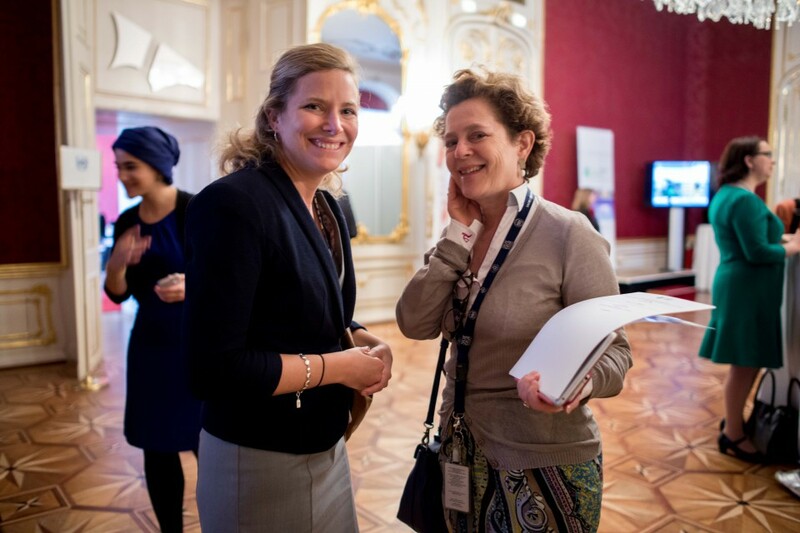 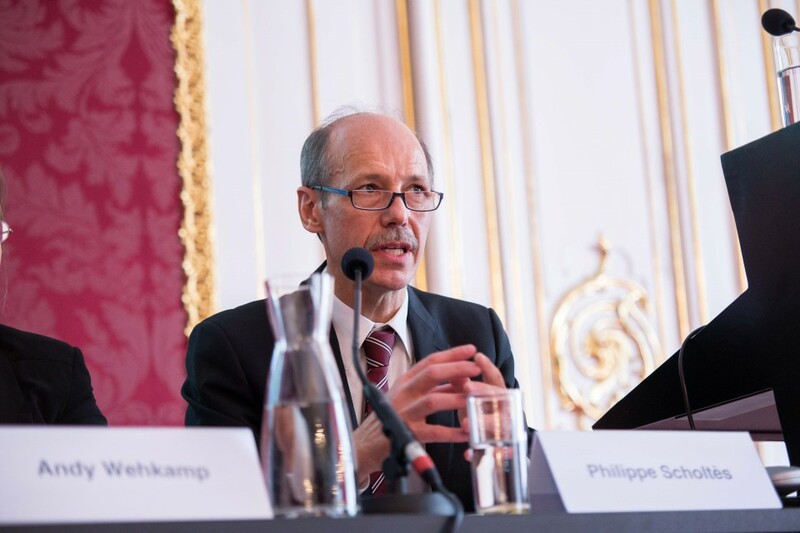 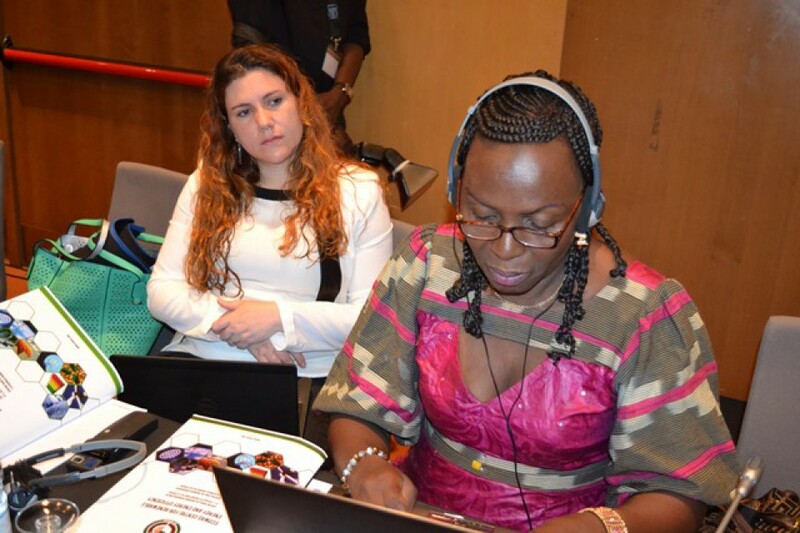 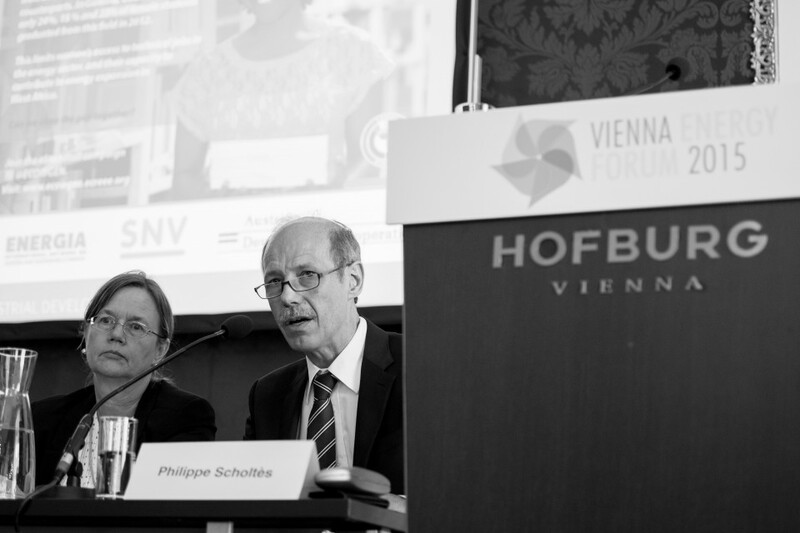 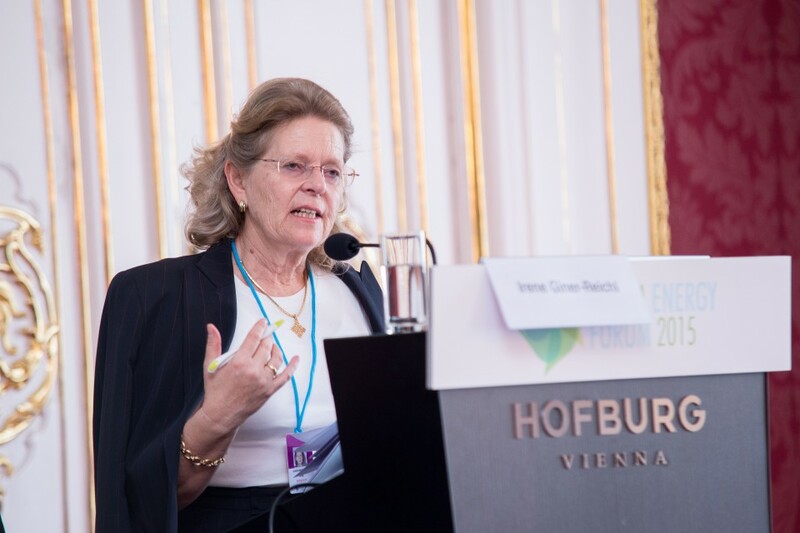 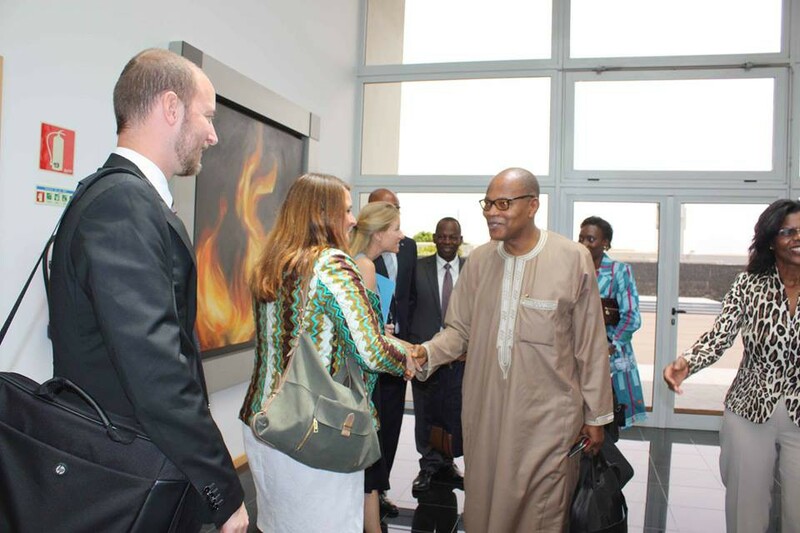 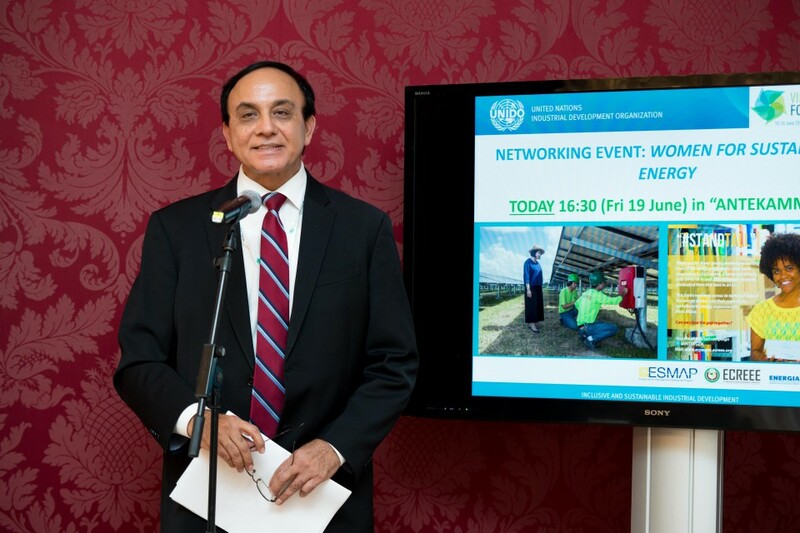 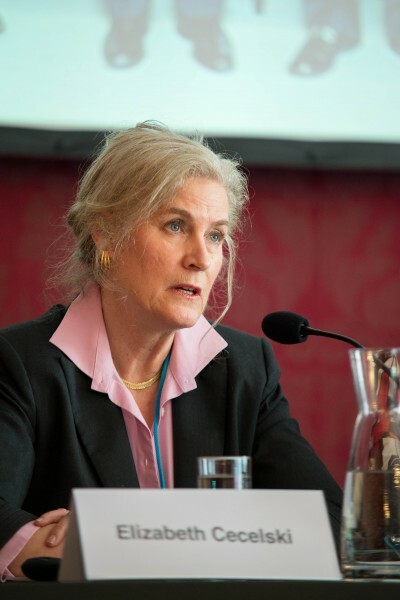 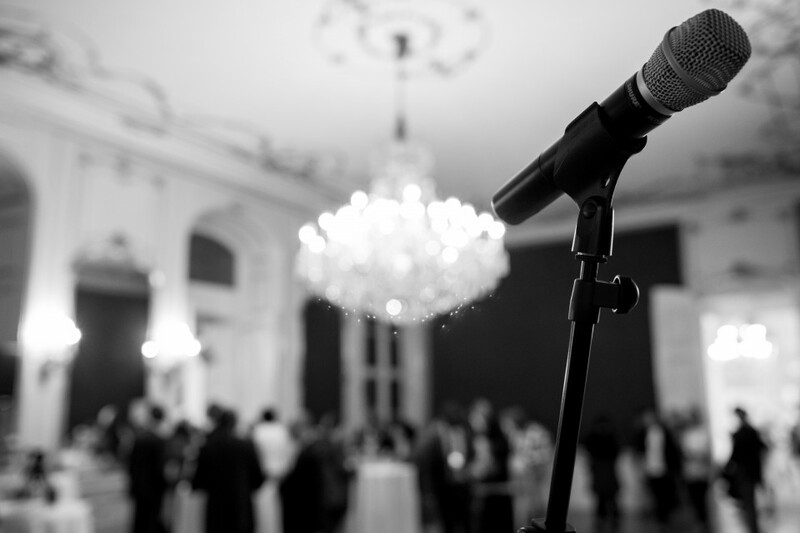 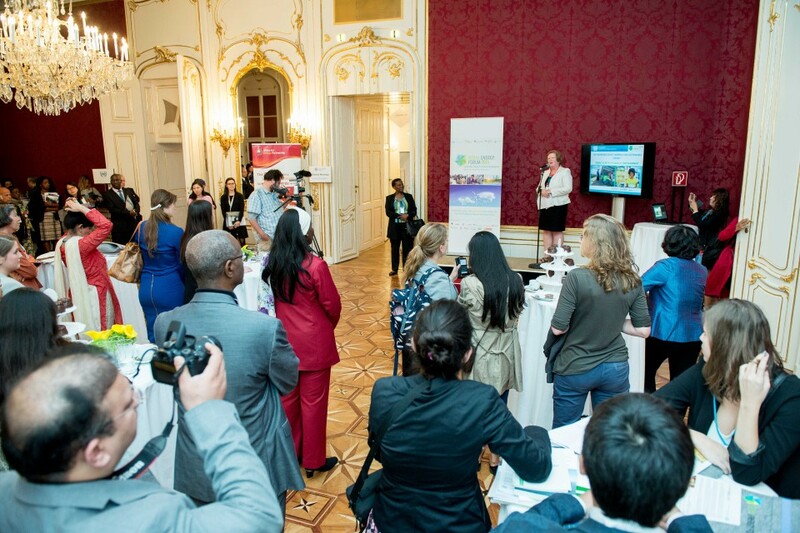 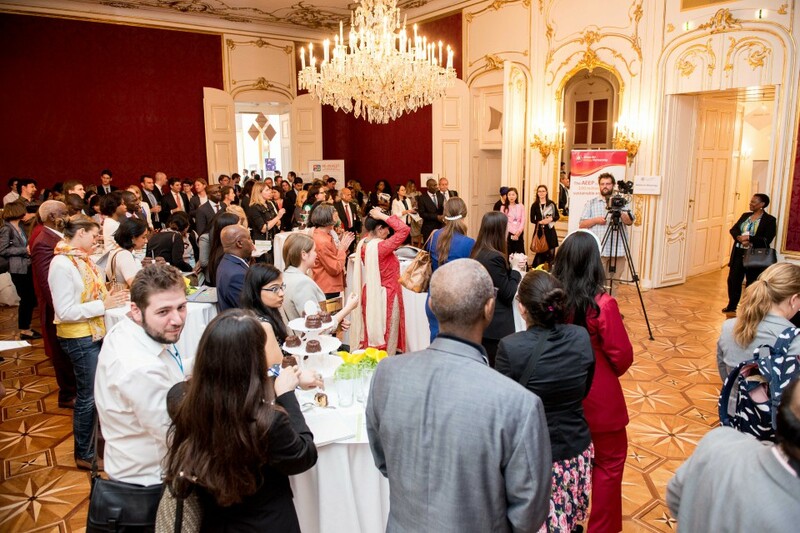 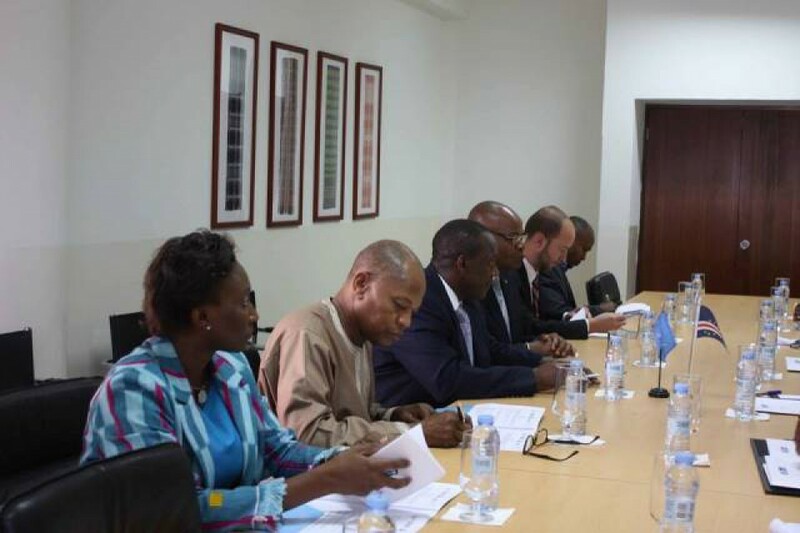 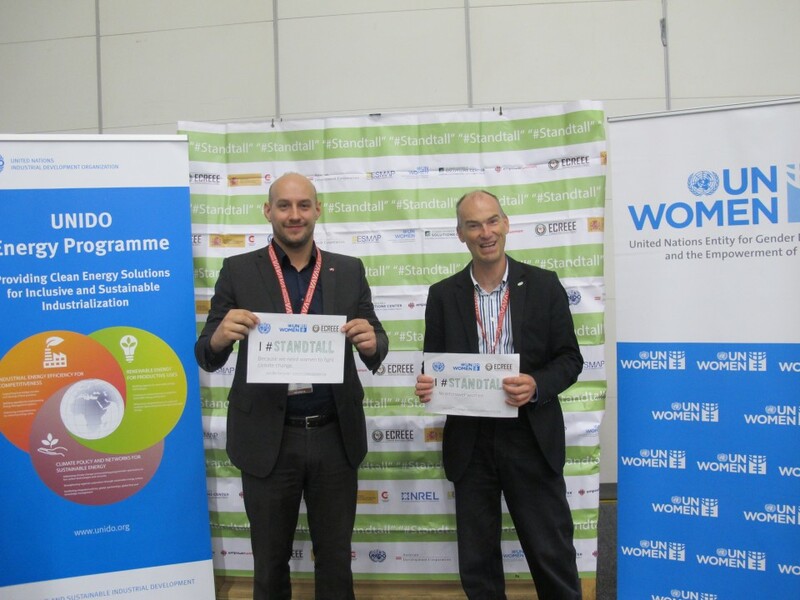 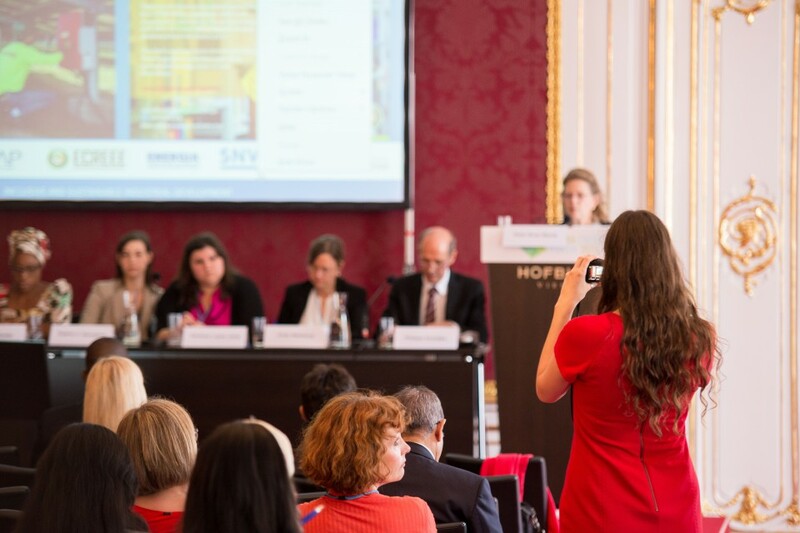 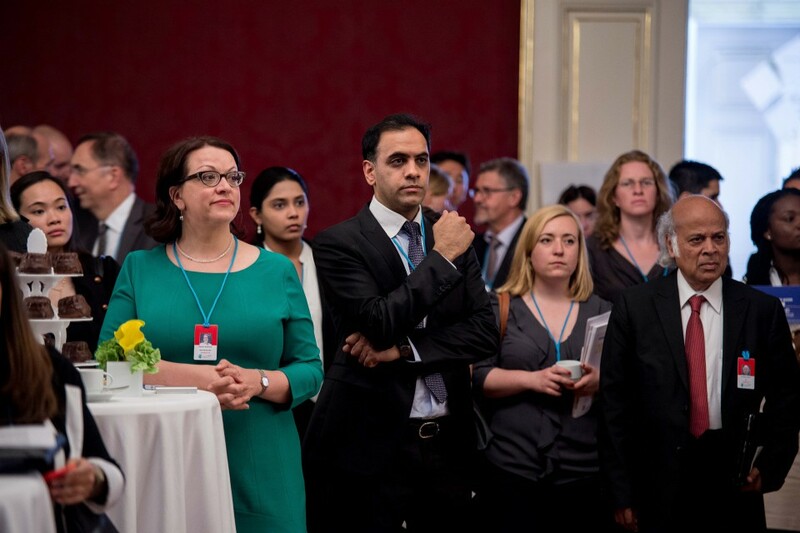 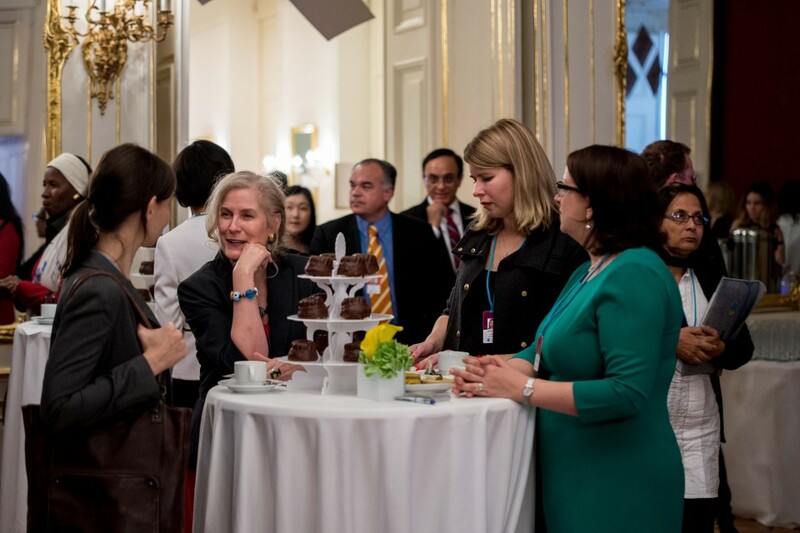 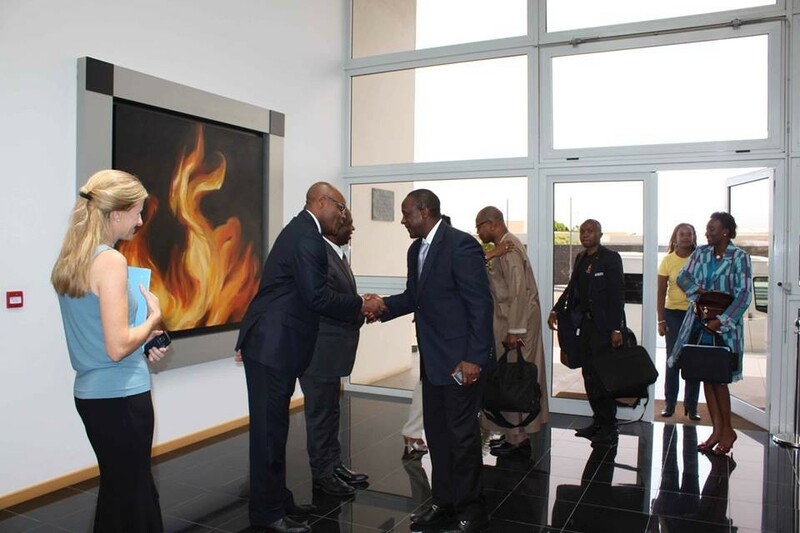 Vienna, 24 August 2015 – West African executives have led a call to close the energy gender gap at the Vienna Energy Forum in June 2015. 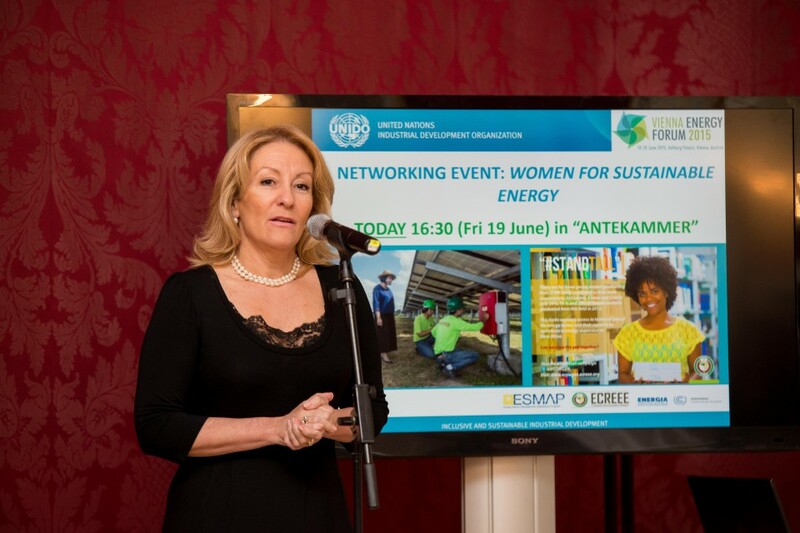 They were speaking at a networking event on Women for Sustainable Energy organised by UNIDO and ECOW-GEN.
Praia, 25 June 2015 – The Government of Cabo Verde and ECREEE welcomed a high level Delegation comprising of the Special Representative of the UN Secretary-General and Chief Executive Officer of the SE4ALL initiative (SE4ALL), Dr. Kandeh Yumkella and the Special Representative of the UN Secretary-General for West Africa, Dr. Mohamed Ibn Chambas. 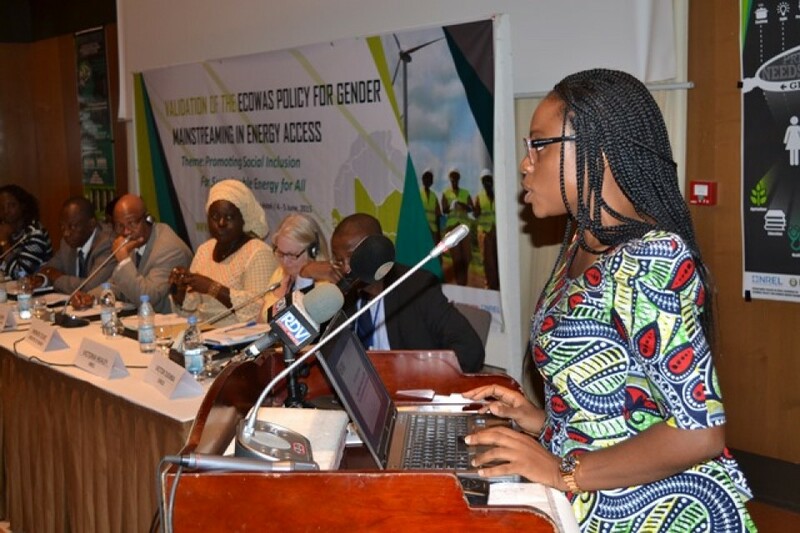 Dakar, 11 June 2015- Countries of the Economic Community of West African States (ECOWAS), represented by the Ministries of Energy, have validated the regional Policy to mainstream gender in all energy programmes, projects and initiatives implemented in the Member States, including large scale energy infrastructure projects and investments. 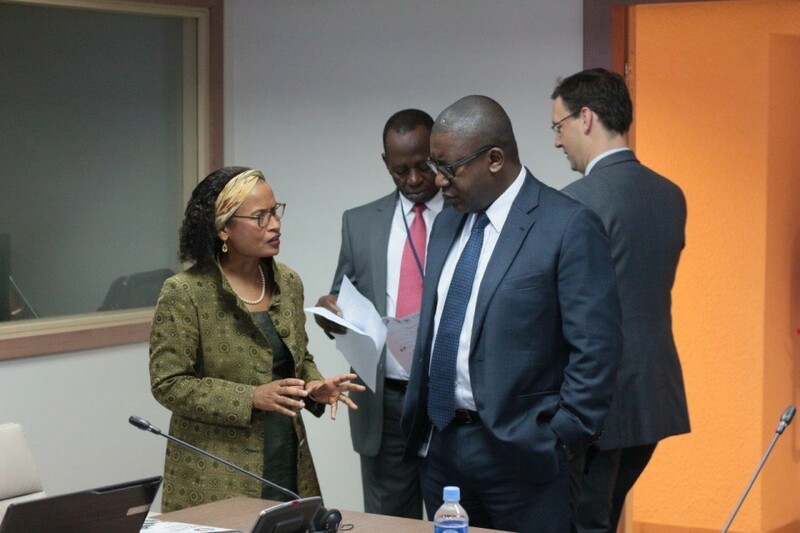 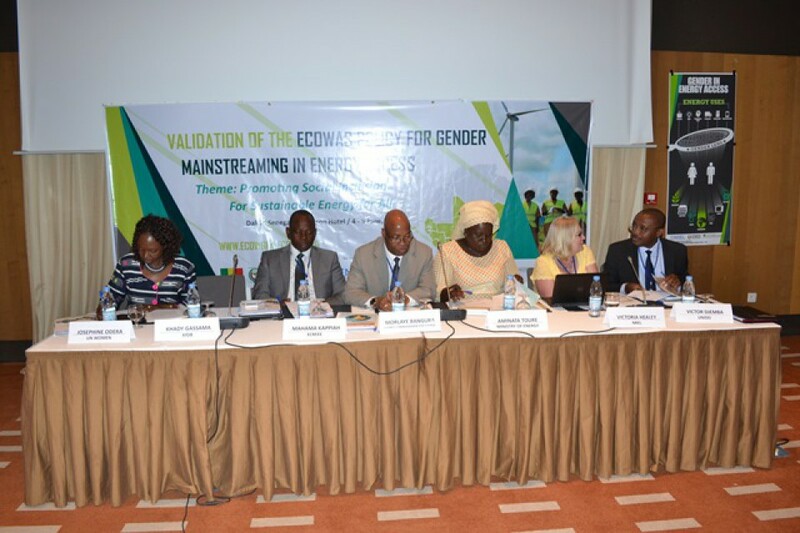 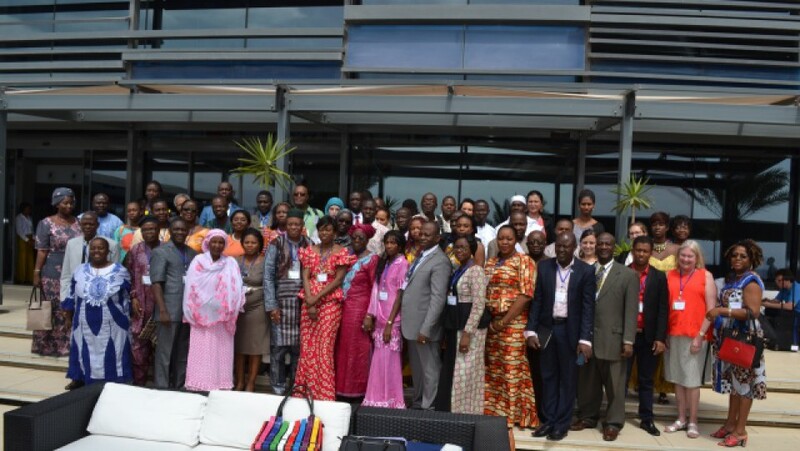 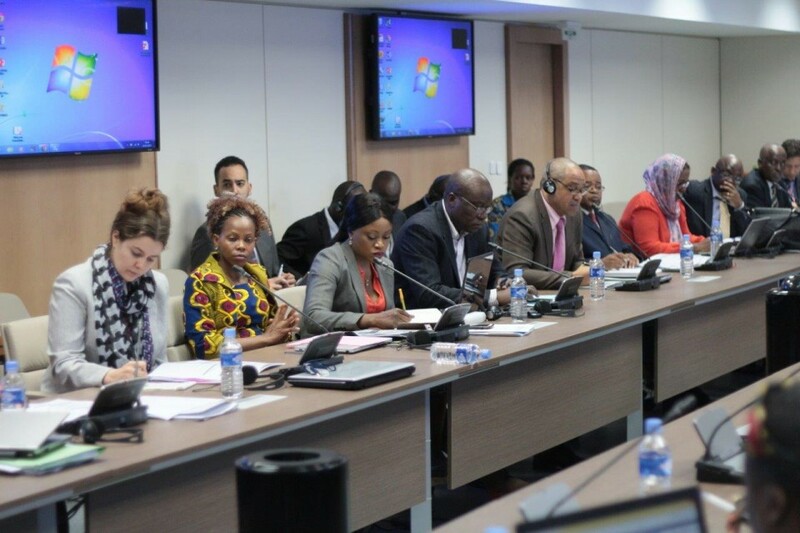 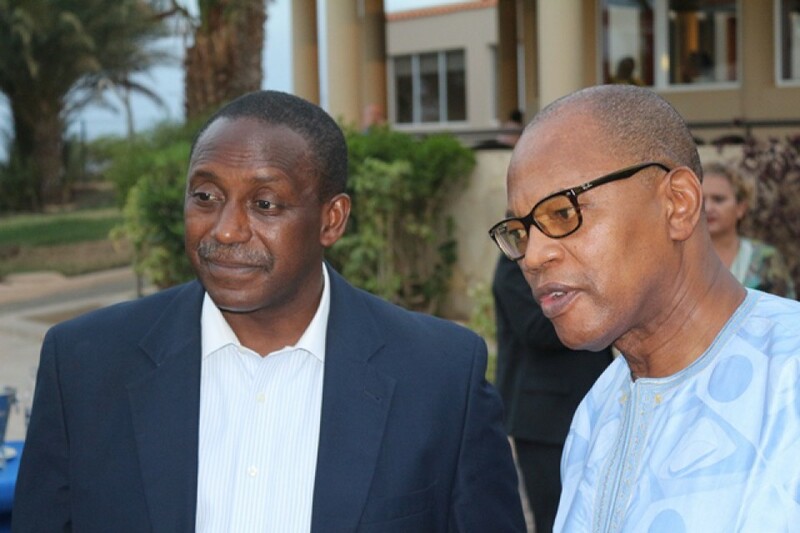 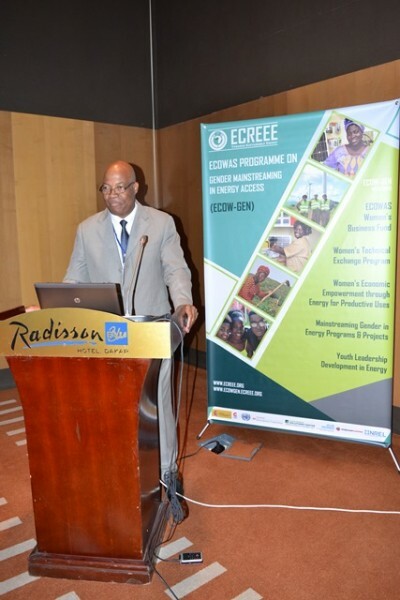 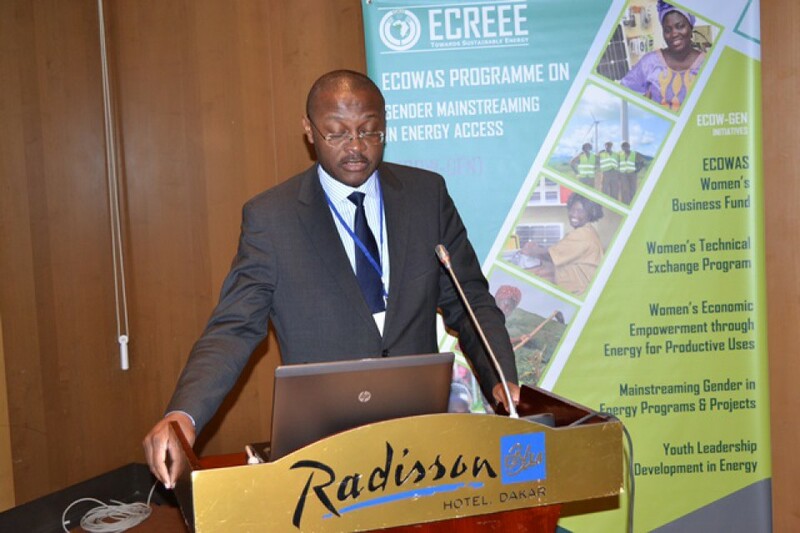 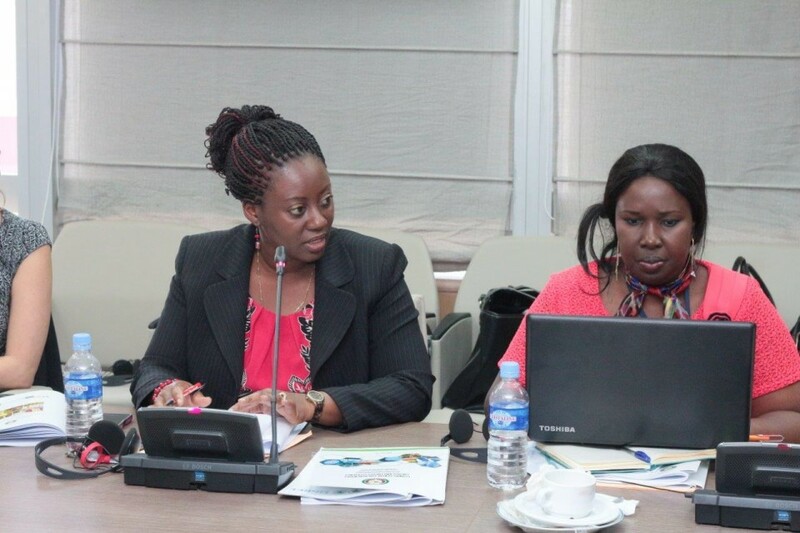 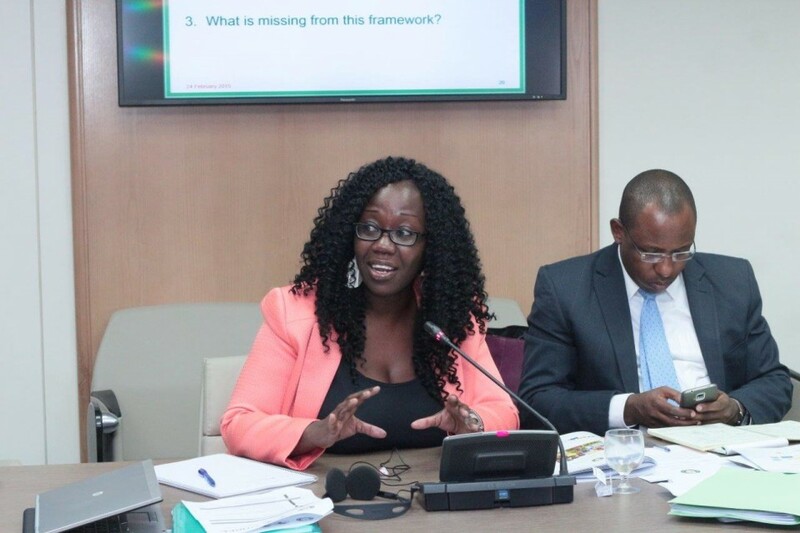 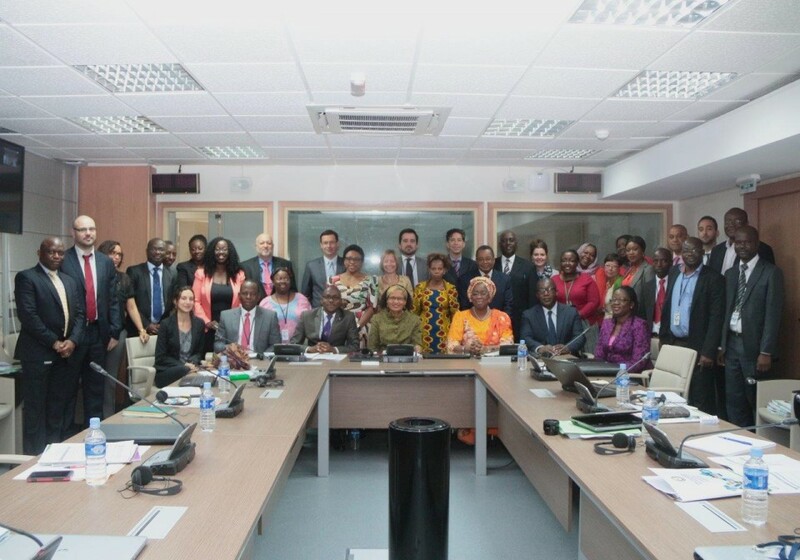 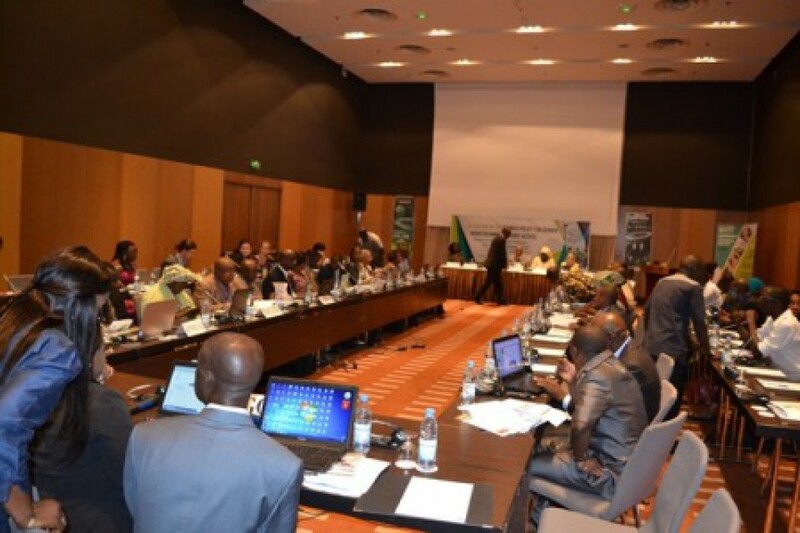 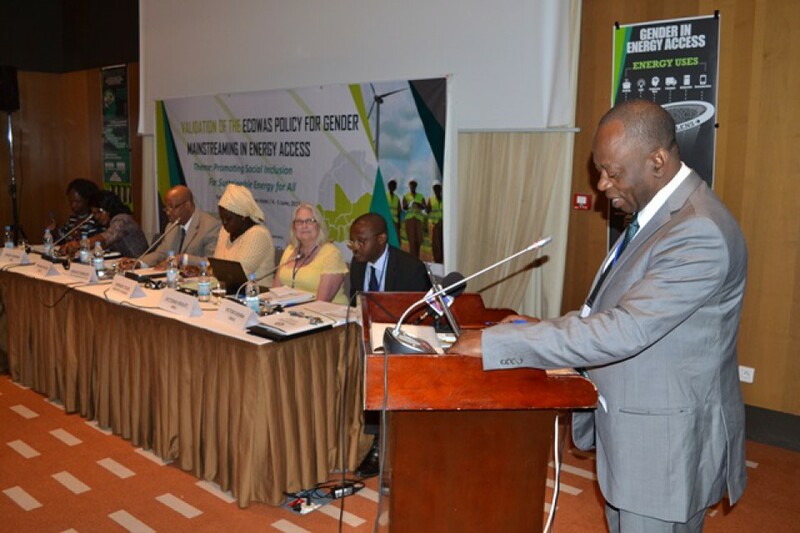 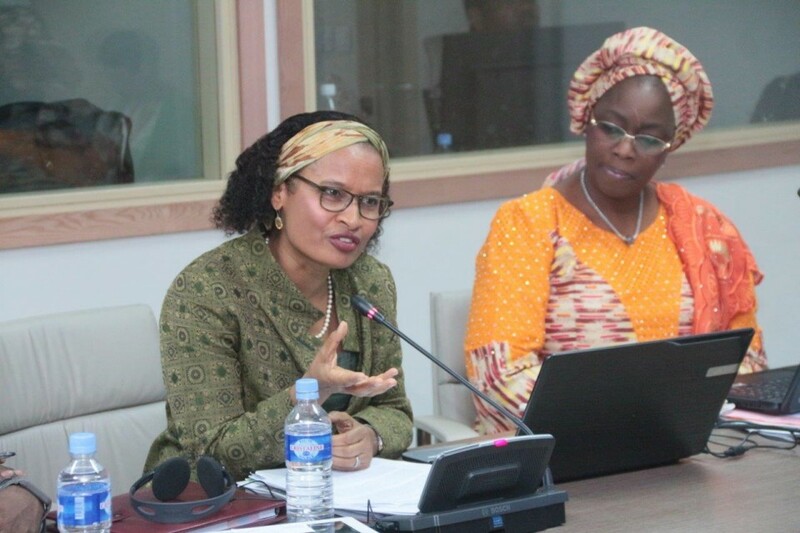 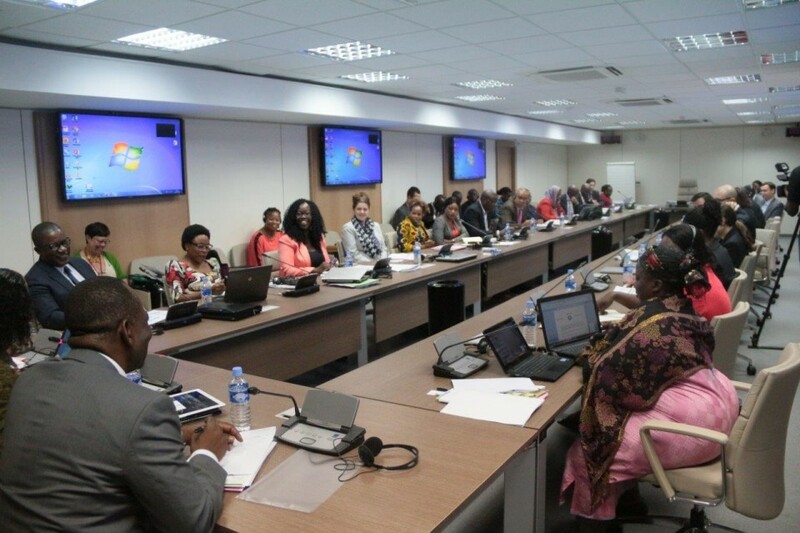 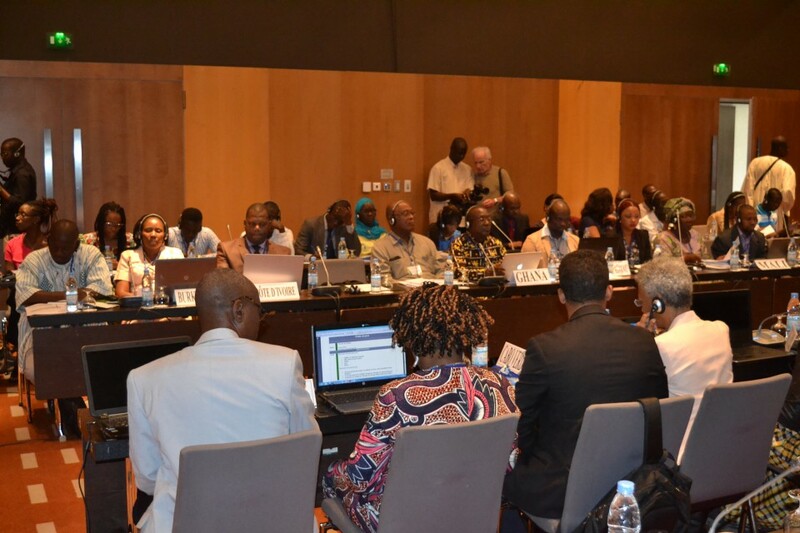 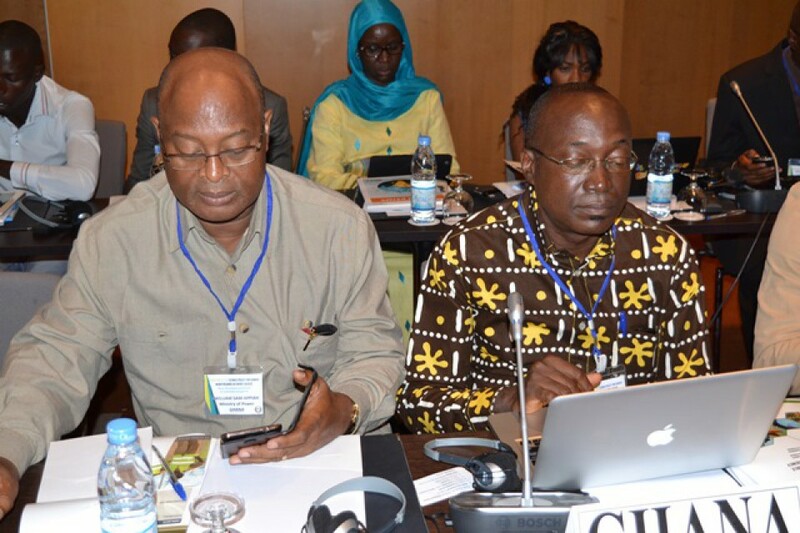 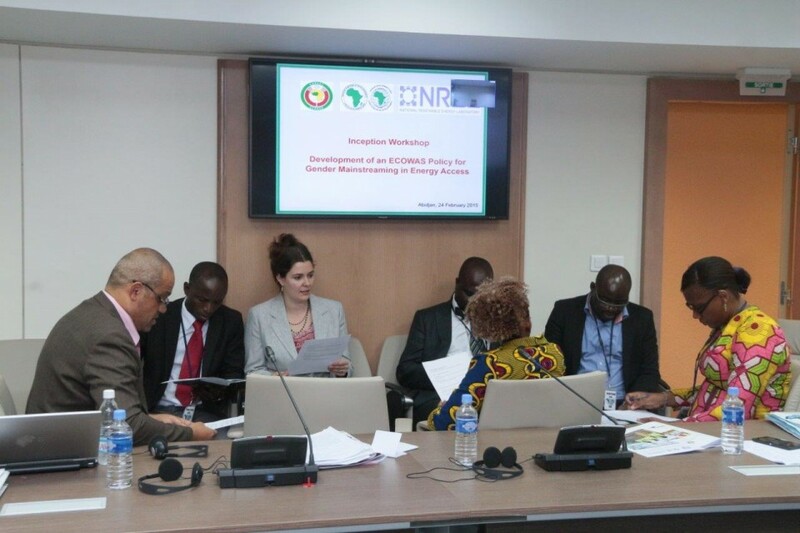 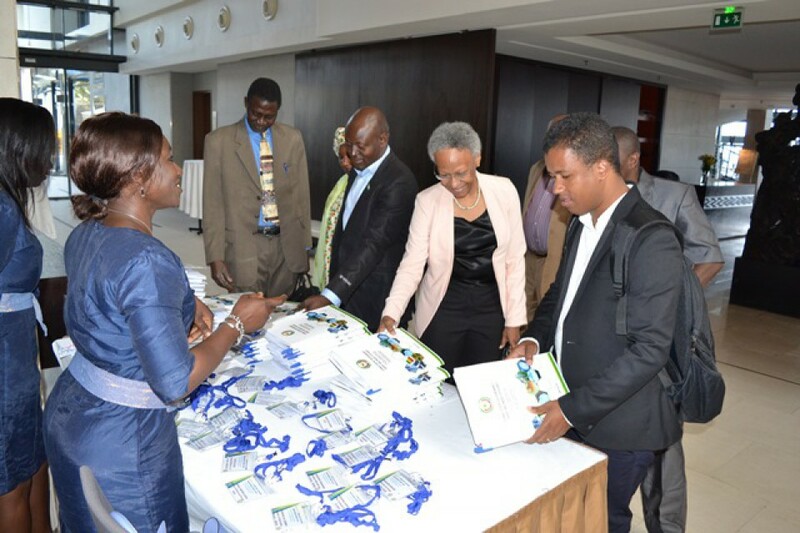 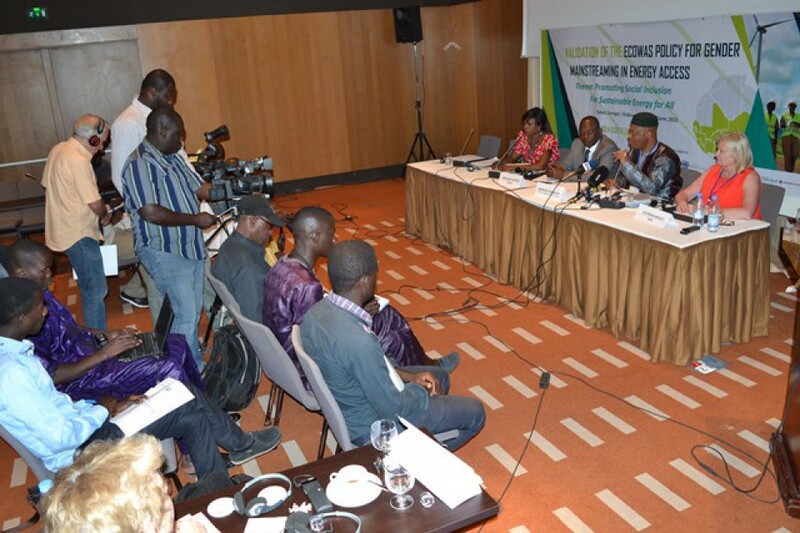 Abidjan, 9 March 2015- In partnership with the AfDB and NREL, ECREEE, organized an inception workshop to launch the project on developing the ECOWAS Policy for Gender Mainstreaming in Energy Access.